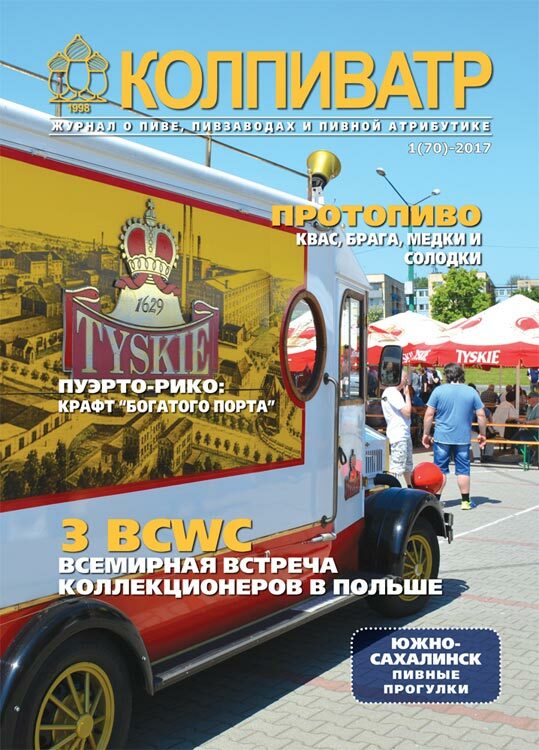 There was issue of the KOLPIVATR magazine 2(71)-2017. 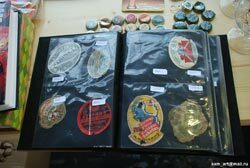 - Pages of history of «Baltic porter» style. 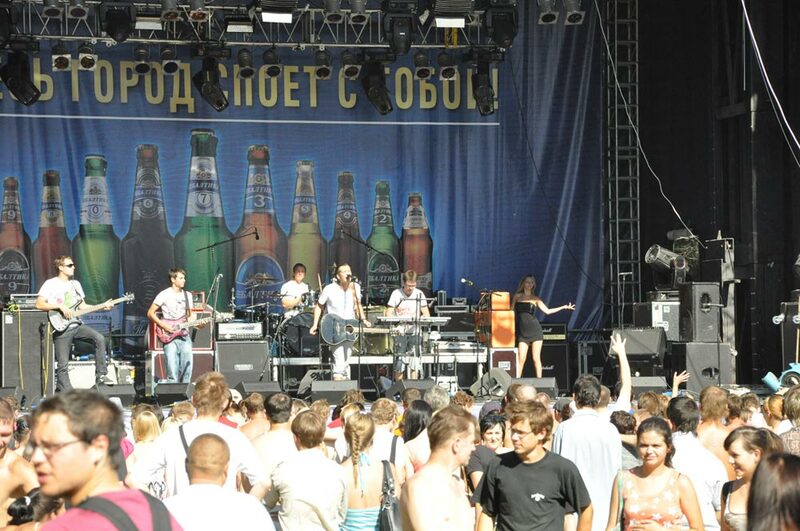 brewery LLC Lyubets from Kovrov have sent to for an entertainment of participants 60 l for casting. 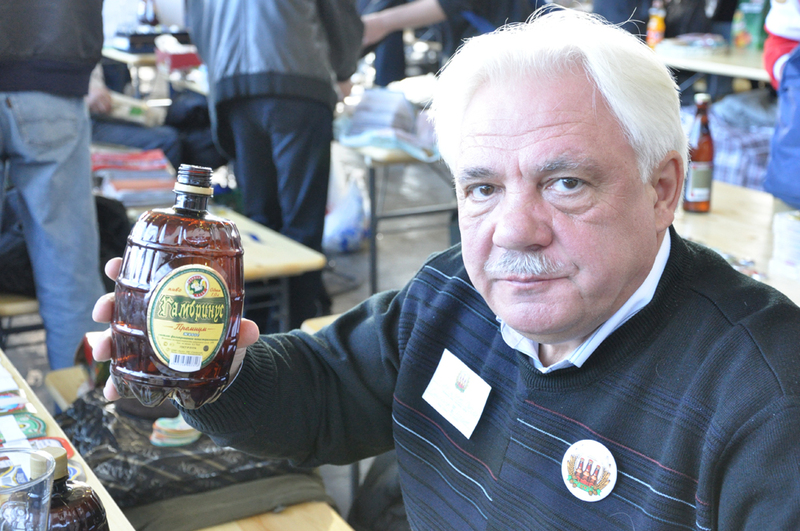 Sergey Perminov, our colleague collector and at the same time the brewer from Yaroslavl, has brought for all a tasty barlivayn from the Clute brand. 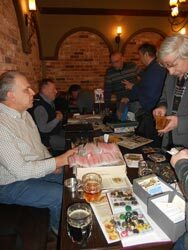 The Royal Omar brewery from Alexandrov has also sent for participants of a meeting cag draft lager and several packings of the bottle beer. 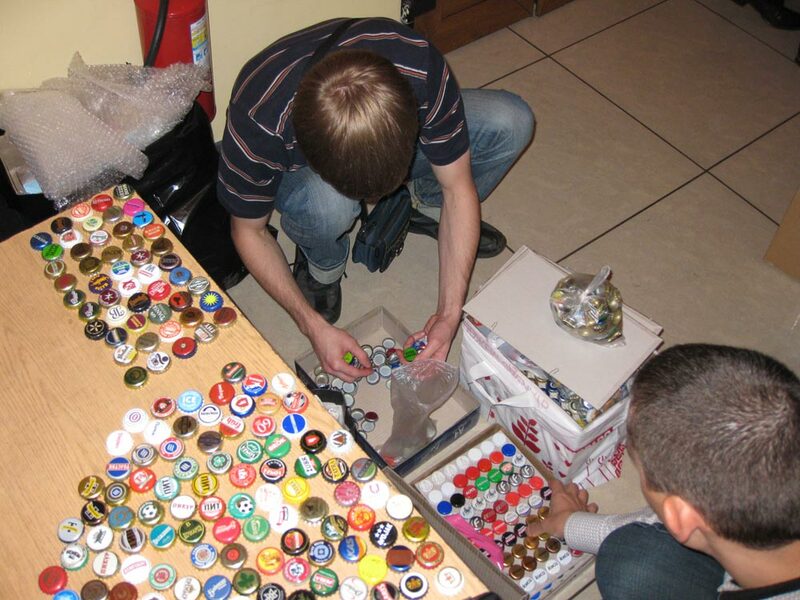 The Moscow office of the Heineken company which more than once was helping out collectors has allocated for us excellent branded baseball caps and a box of glasses. 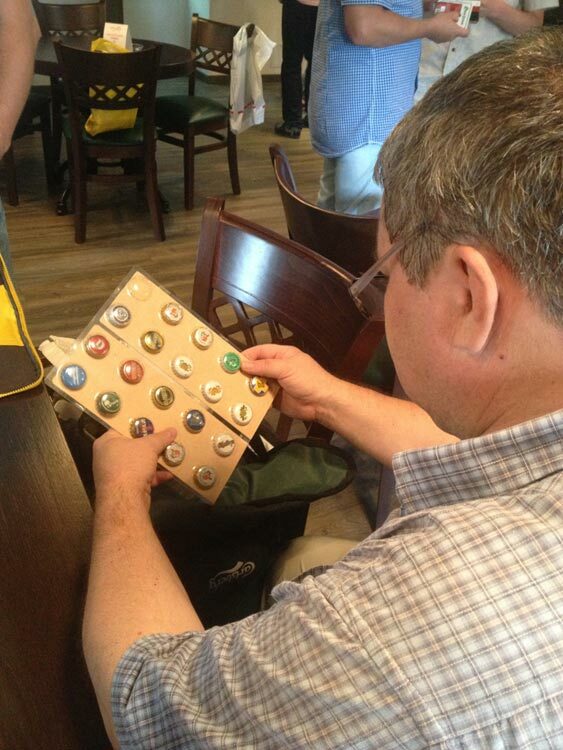 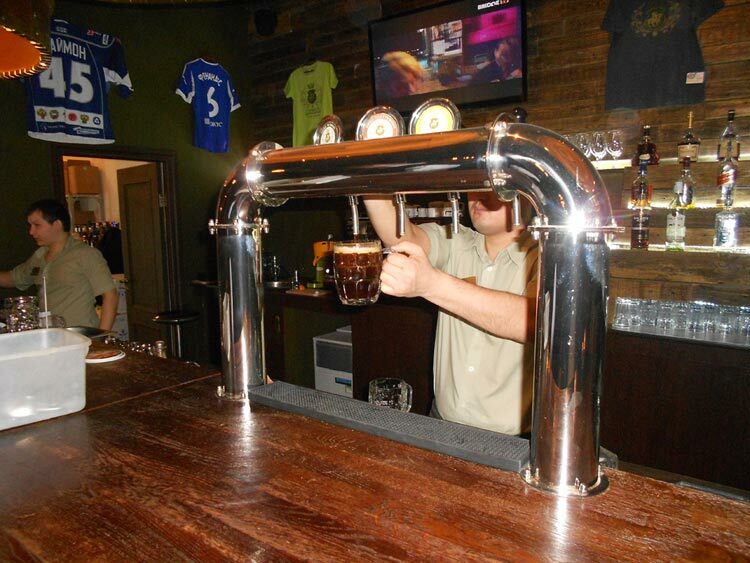 The device has provided to our club shop of Glavpivmag draft beer for pouring of beer. 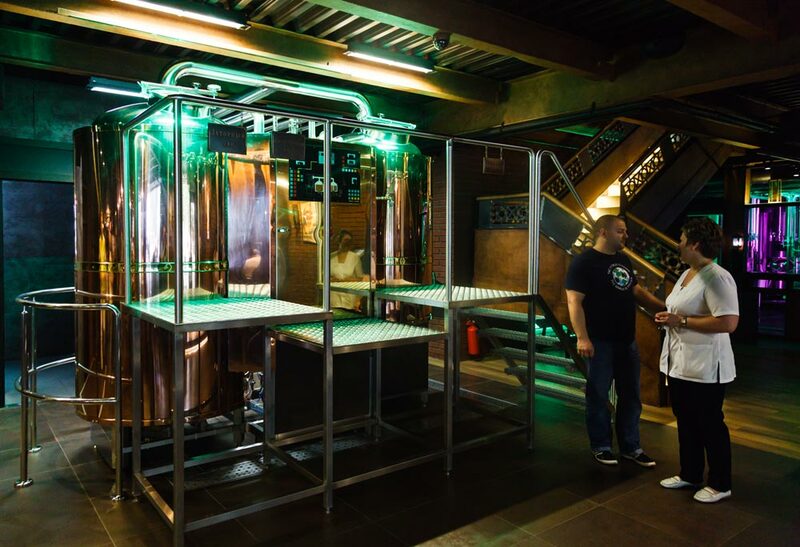 Special edition of beer has carried out the Moscow brewing pub Beer Factory 77 (LLC K-Invest) - grades of APA and Stout by total of 100 bottles. The memorable glass has been made in number of 300 pieces and has got to each participant at the event. 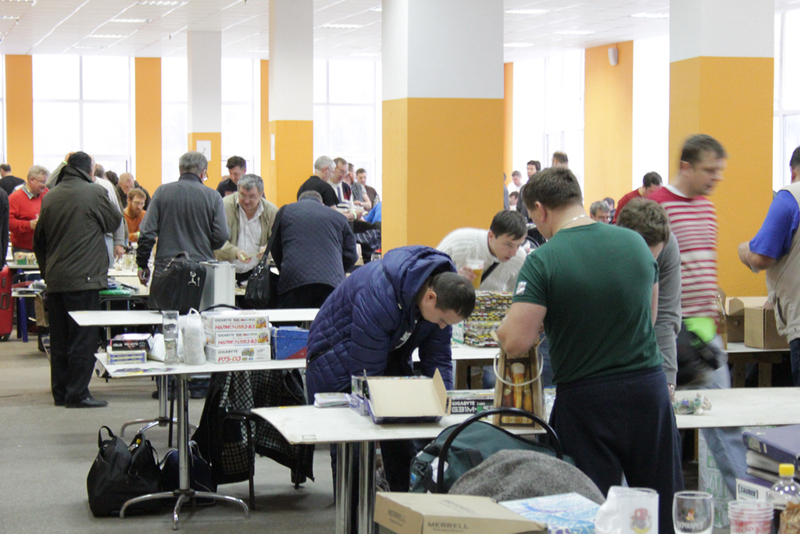 In total more than 280 people mainly from Moscow, St. Petersburg and the cities of the Central Russia have participated in a meeting. The big delegation has arrived from Belarus. 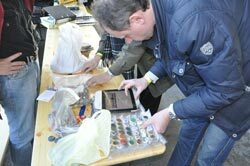 There were Ukrainian colleagues and also guests from Lithuania, Latvia, Transnistria, Armenia, Poland and Germany. 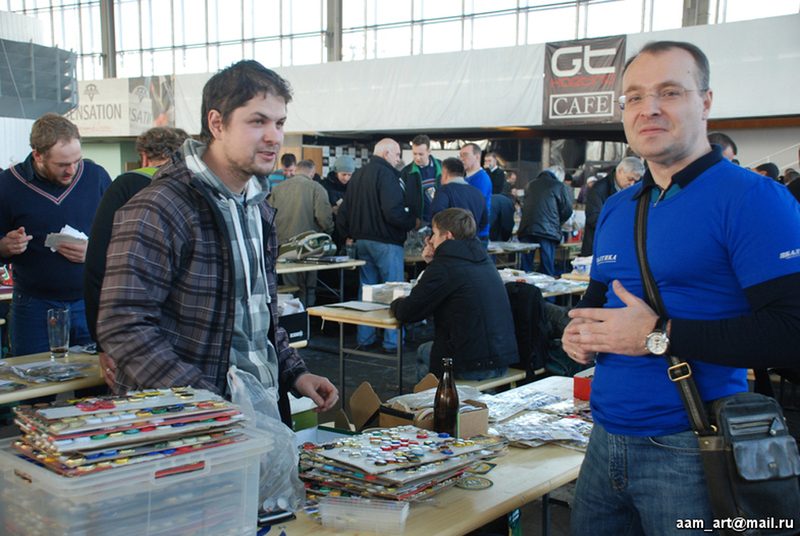 From Slovakia there has arrived our good friend Jan Pokrevka. 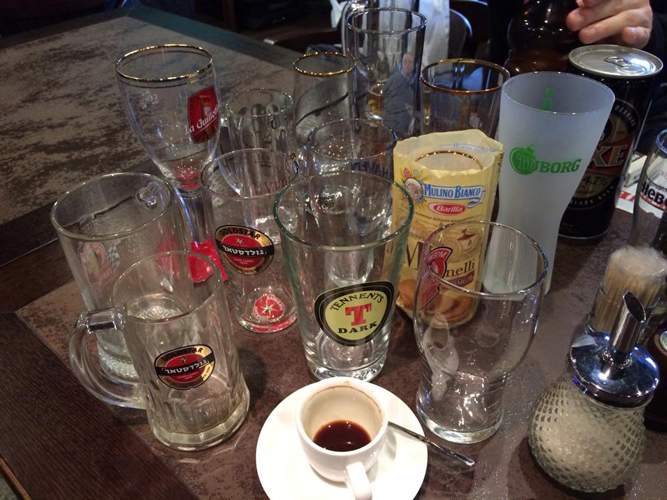 Within the meeting there have taken place amateur tastings of beer from around the world and also beer density - 20%. 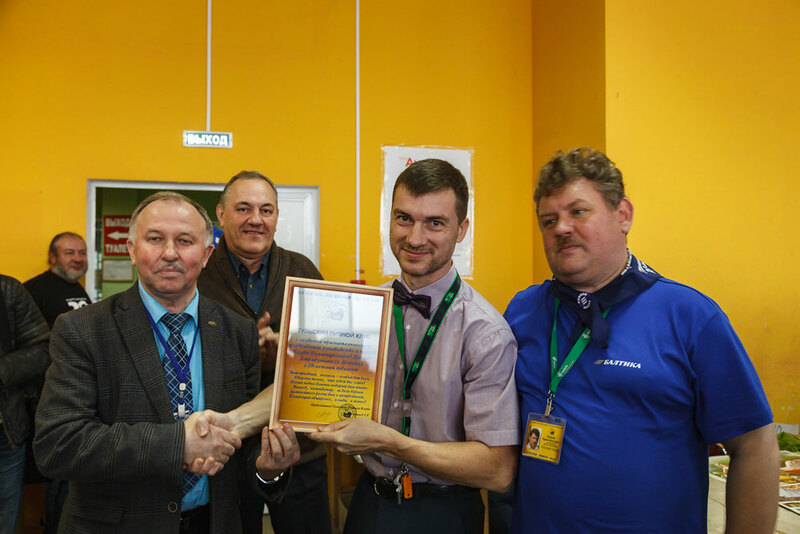 The next 21st Moscow meeting will take place on October 20-21, 2018. 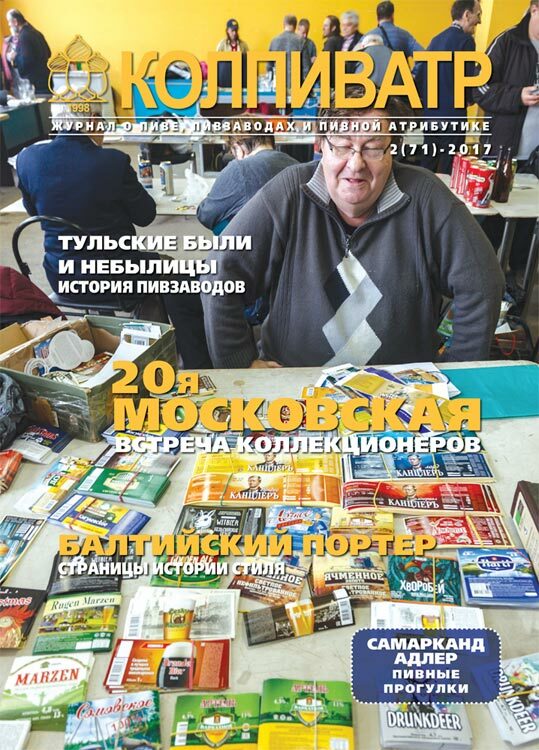 There was issue of the KOLPIVATR magazine 1(70)-2017. 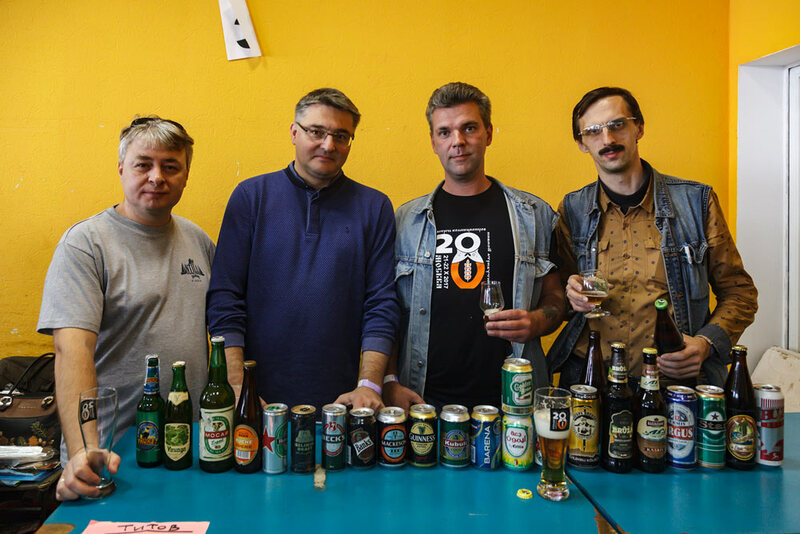 - Beer in the capital of "End of the earth"
The delegation of KKPA has attended the 3rd World meeting of the convention on beer collecting (3rd BCWC) on May 19-21 in the Polish city of Tychy. 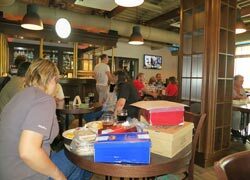 Our club has combined a trip to a meeting with the excursion program. 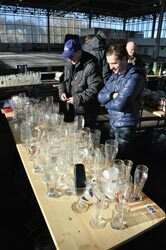 We were helped with it by Jacek Wozniak from Warsaw, the collector of beer glasses and in combination the organizer of excursion tours. 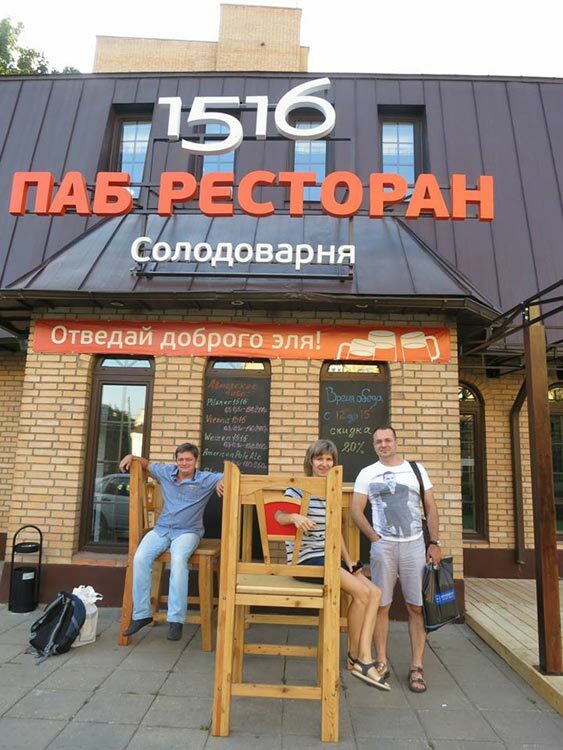 And the board member of KKPA Alexander Sedov realized an idea. 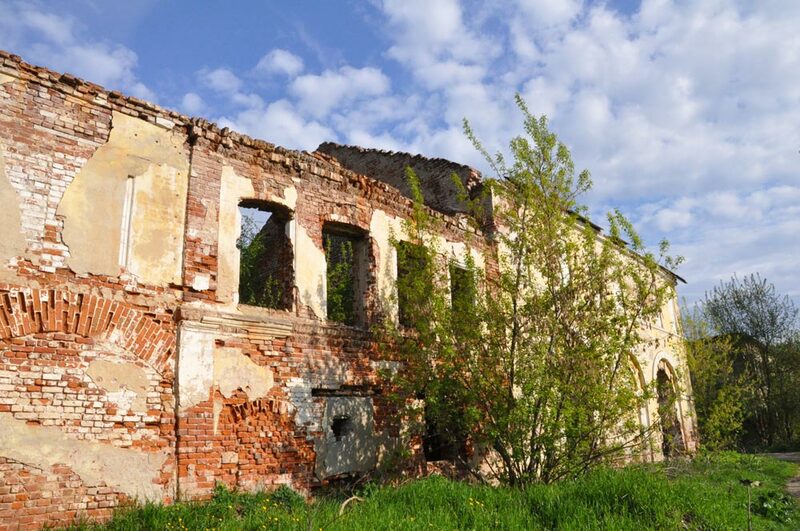 The group of teammates has by train reached Warsaw, and from there has gone to quite fascinating trip on the South and the East of Poland, having come around, including, in Tychy. 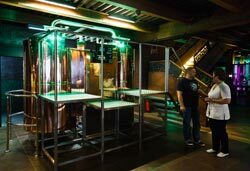 For this joint trip children have visited 17 breweries, have visited the ancient cities and even the historical salt mine. 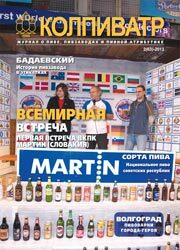 In more detail about 3 BCWC read in the KOLPIVATR magazine 1(70)-2017. 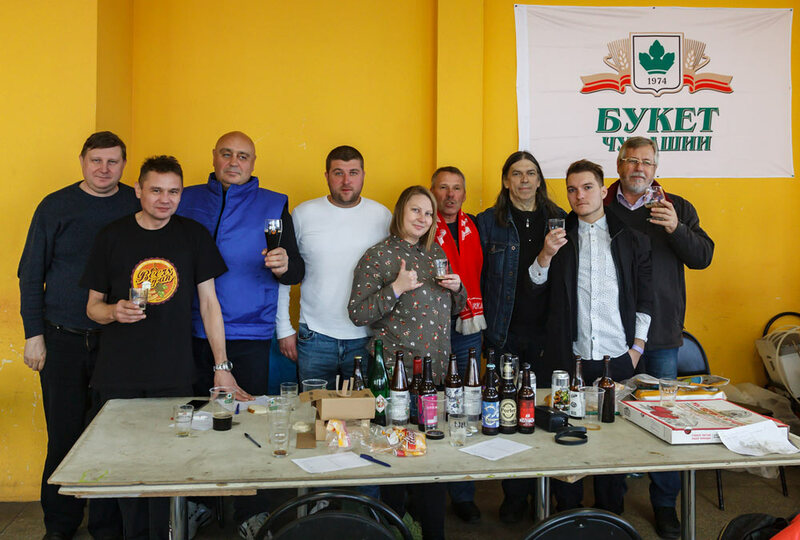 Members of KKPA have participated in the 6th All-Russian open meeting of collectors of the beer attributes on May 13-14 in the settlement of Repino (Leningrad reg.) 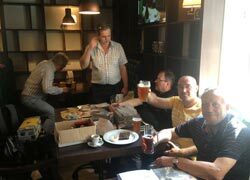 organized by our colleagues from the St. Petersburg club "Beer Etiquette". 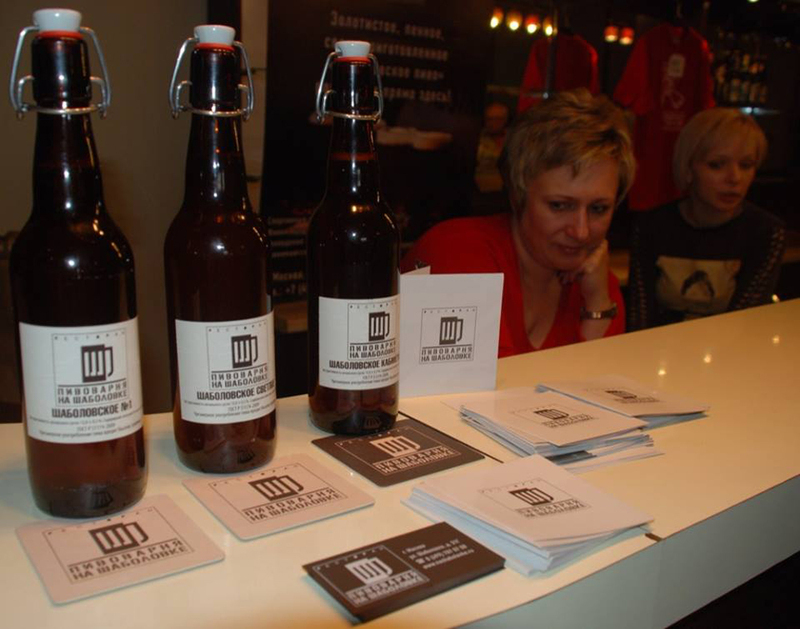 The Moscow collectors became participants the 10th congress of collectors of beer attributes in Minsk on April 1, with success carried out by local club of collectors "Beer athletes" ("Pivnye Volaty") at sponsorship of Lidsky Beer brewery. 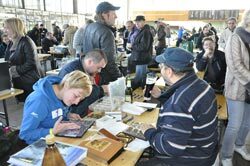 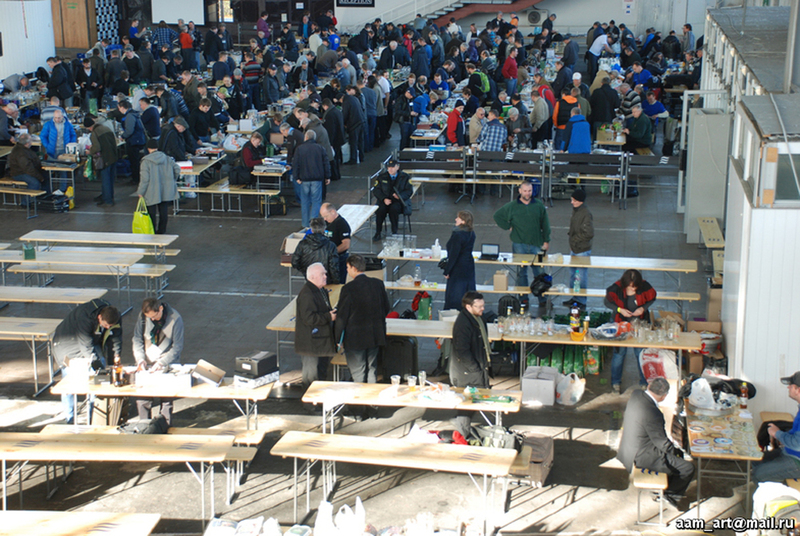 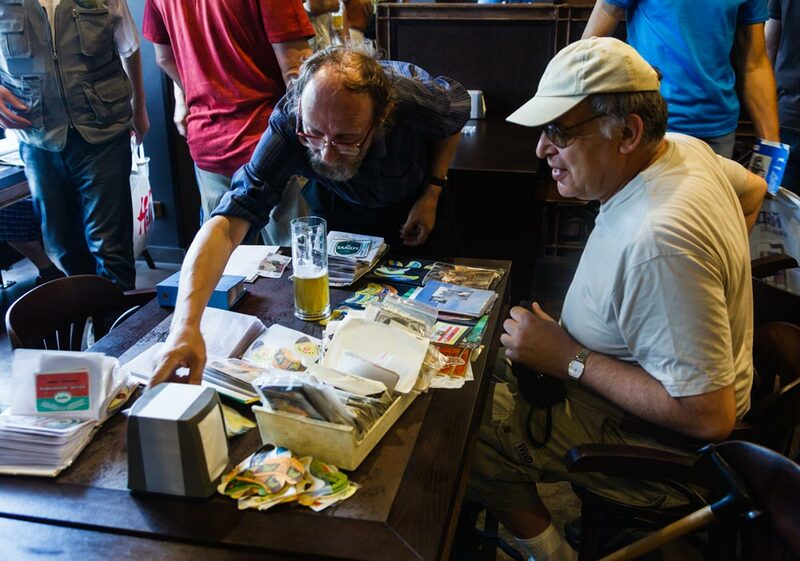 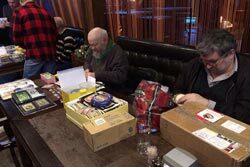 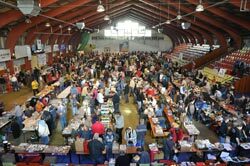 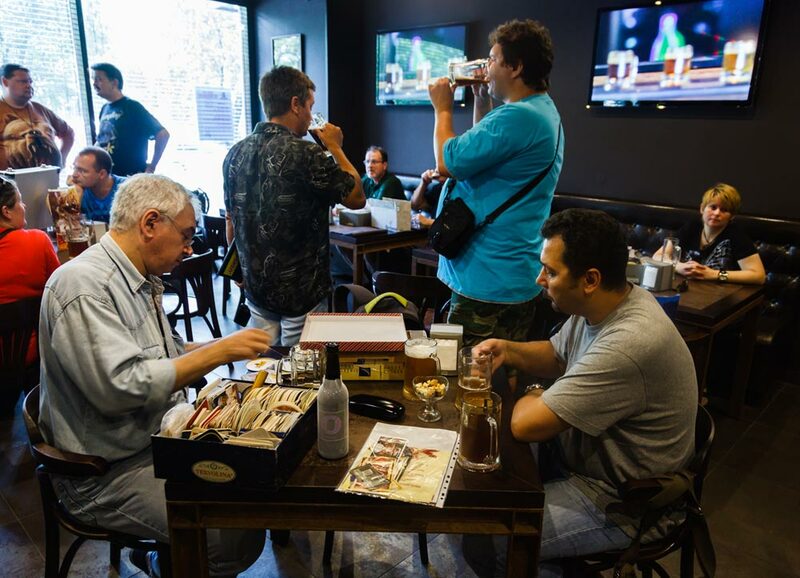 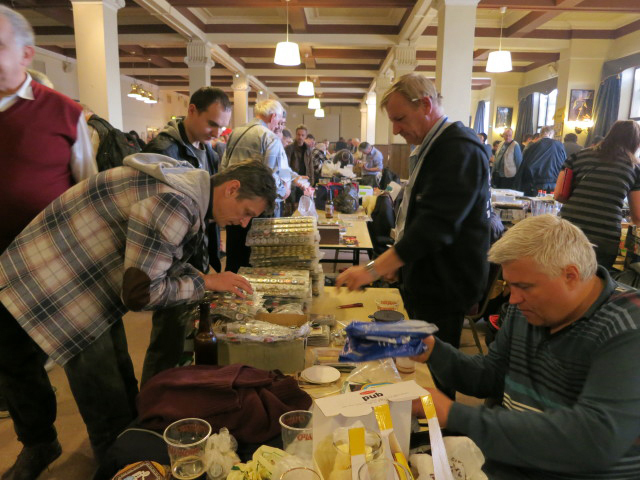 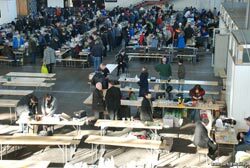 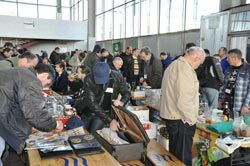 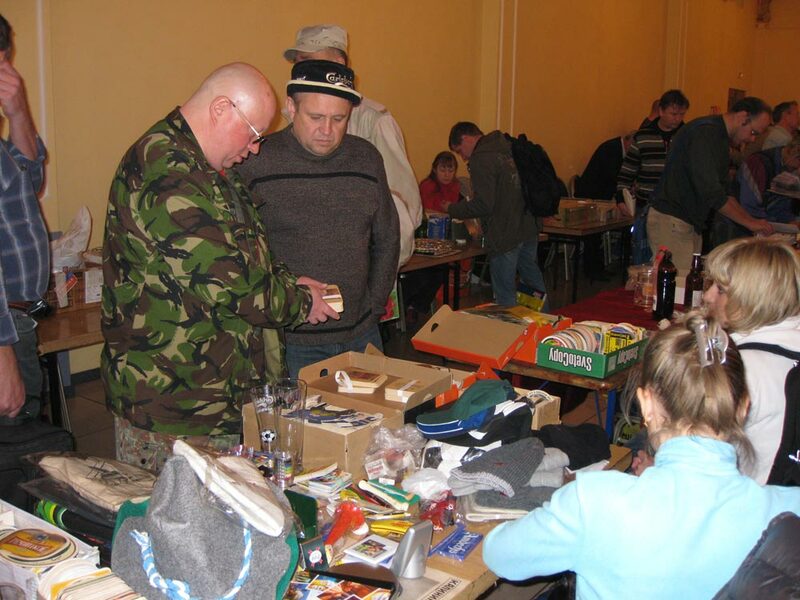 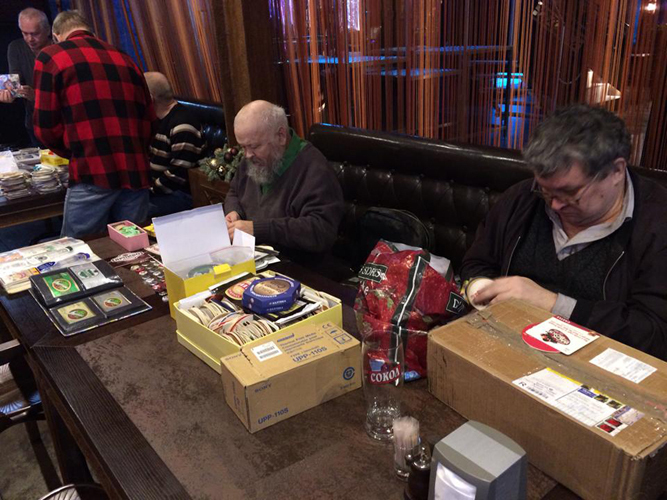 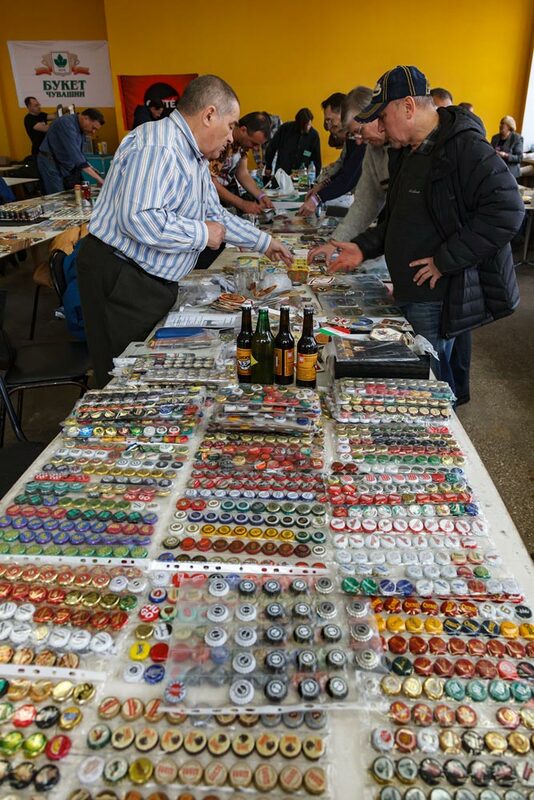 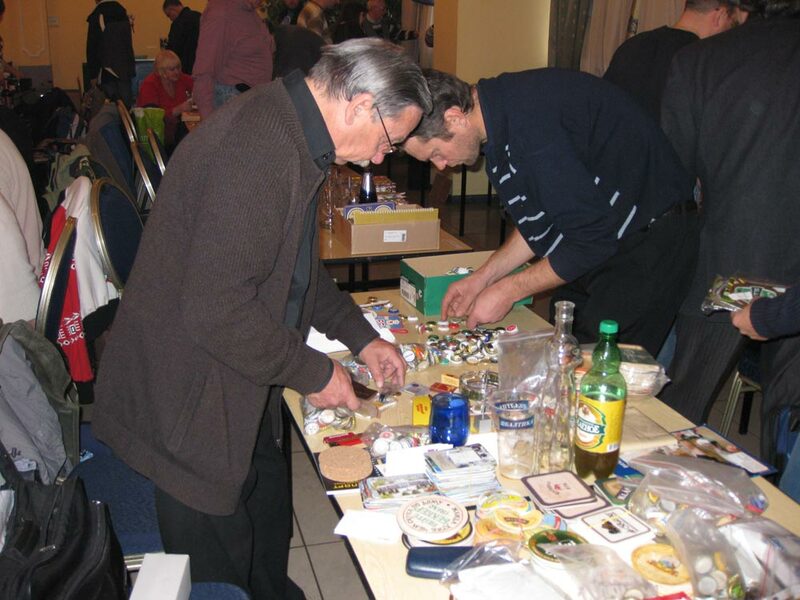 At October 22 and 23 in showroom of the Moscow fair of hobbies there has taken place the 19th meeting of collectors of beer labels, birdekely, caps, glasses and other beer souvenirs, organized by KKPA - club of beer collectors. 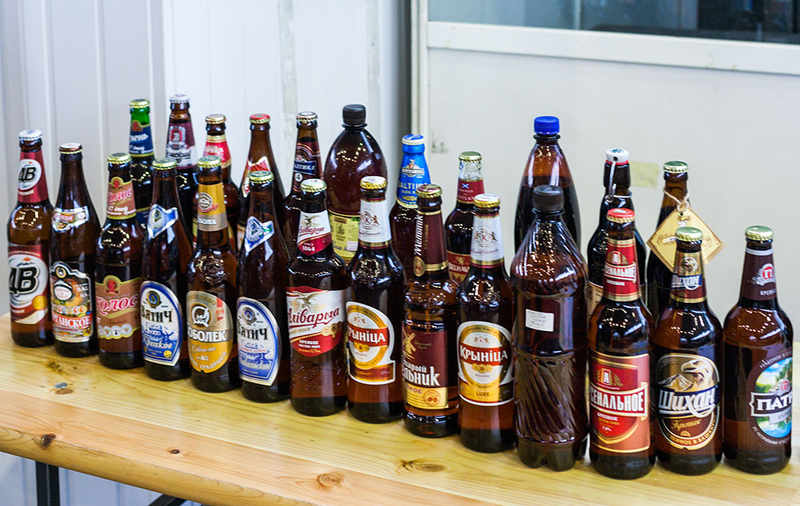 In the organization of a meeting collectors were assisted by several enterprises of brewing branch at once. 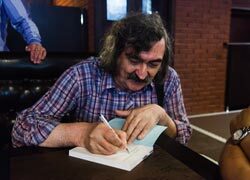 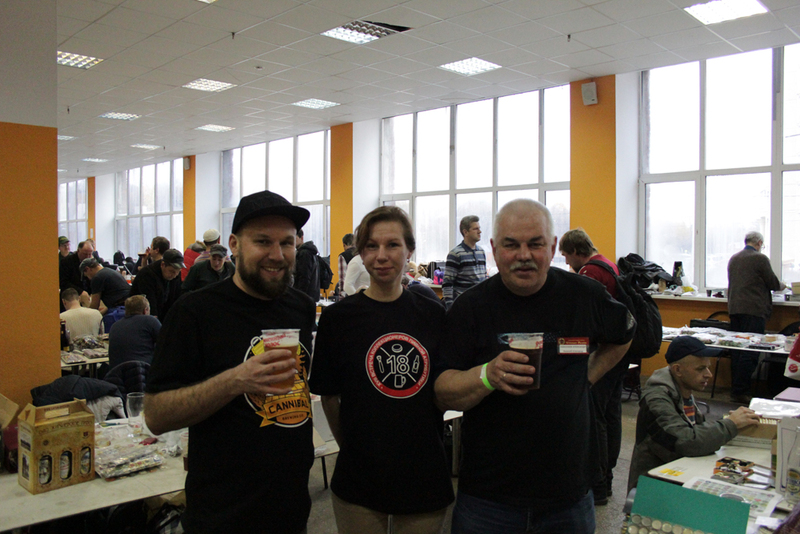 The main support was carried out by CJSC Moscow Brewery Ochakovo, having provided souvenirs, beer for an entertainment of participants at the event and the equipment for his pouring. 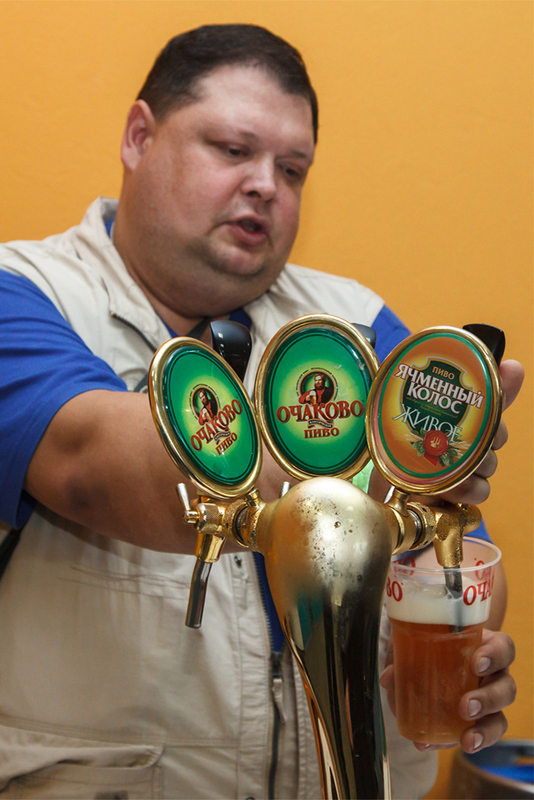 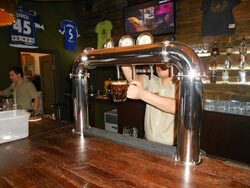 The draft beer was provided by longtime friends of KKPA Lyubets brewery from Kovrov of the Vladimir region. 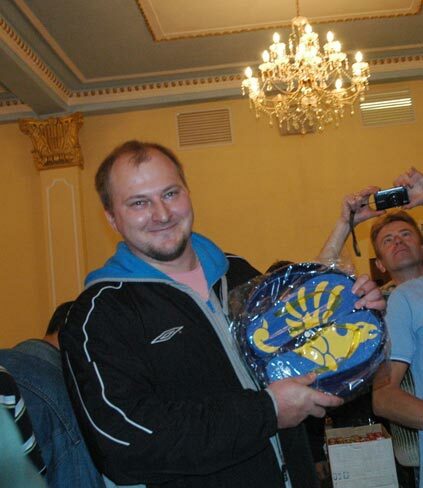 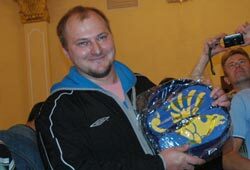 Also draft and canned beer, original souvenirs has sent for collectors of JSC Buket Chuvashii from Cheboksary. 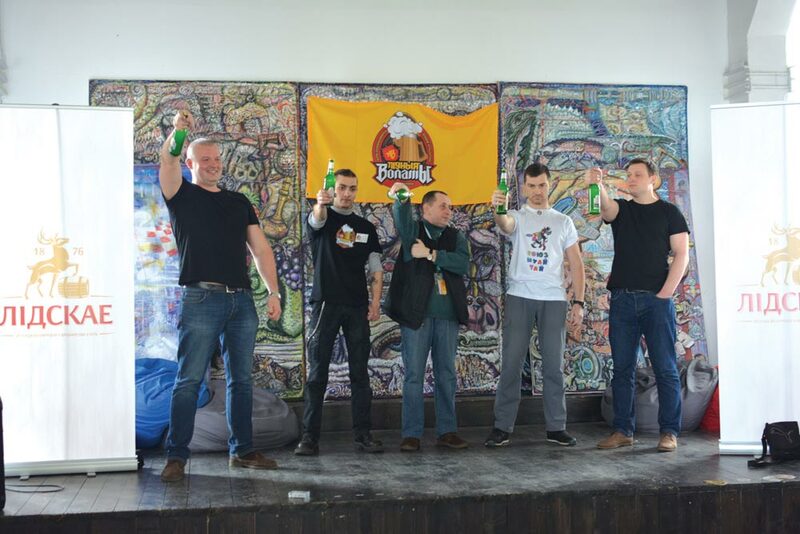 The Moscow brewery (MPK) has allocated souvenirs and license Faxe canned beer in original registration from a series about Vikings. 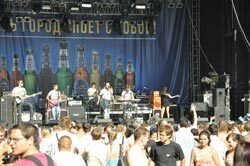 As a presentation grade the malt liquor to the audience was presented by contract brewery Clute from Yaroslavl. 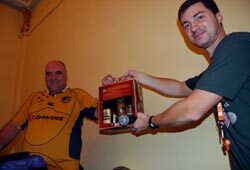 Separate thanks should be told the Moscow representative office of Heineken for the provided beer glasses for each participant of a meeting. The number of the registered guests of an action was nearly 300 people; 60% from them are collectors from Moscow and the Moscow region, and the others - residents of the cities of the Central Russia, St. Petersburg, the Ural region, the Volga region, Don, Kuban, one participant from Siberia, guests from Belarus, Ukraine, Transnistria, Lithuania, Latvia and Poland. 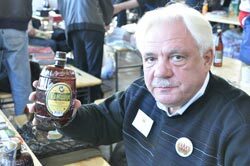 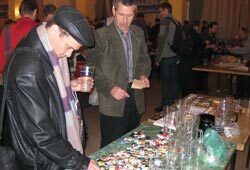 Each participant of a meeting has received a welcome set of labels, birdekely, a memorable badge, a beer glass and special coupons on which beer was released. 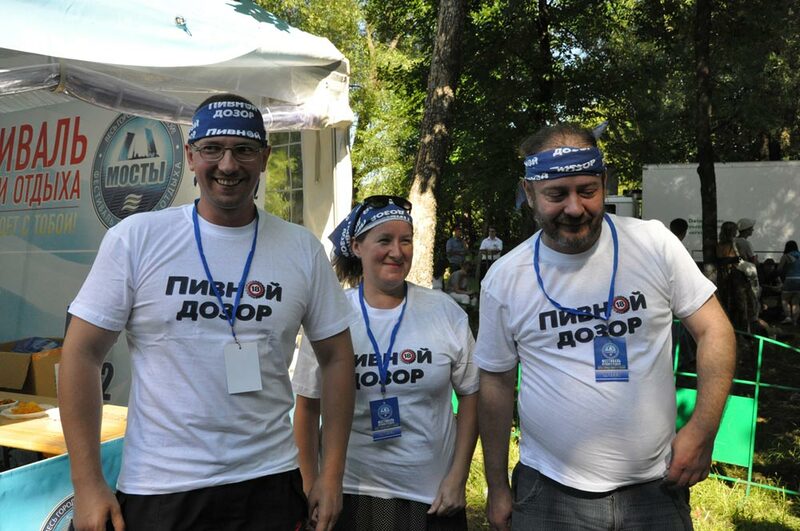 Separately for all comers KKPA has made memorable t-shirts with a meeting emblem. 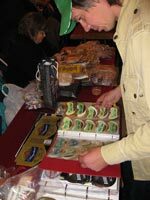 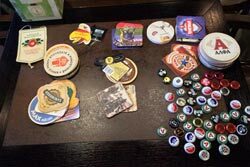 As for types of a beer hobby, most (37%) of participants of a meeting were collectors of beer labels, they were followed by collectors of caps (29%), birdekely (18%) a nd other attributes (16%). 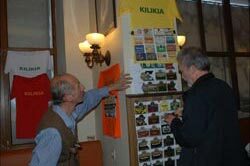 The whole two days exchange and communication continued. 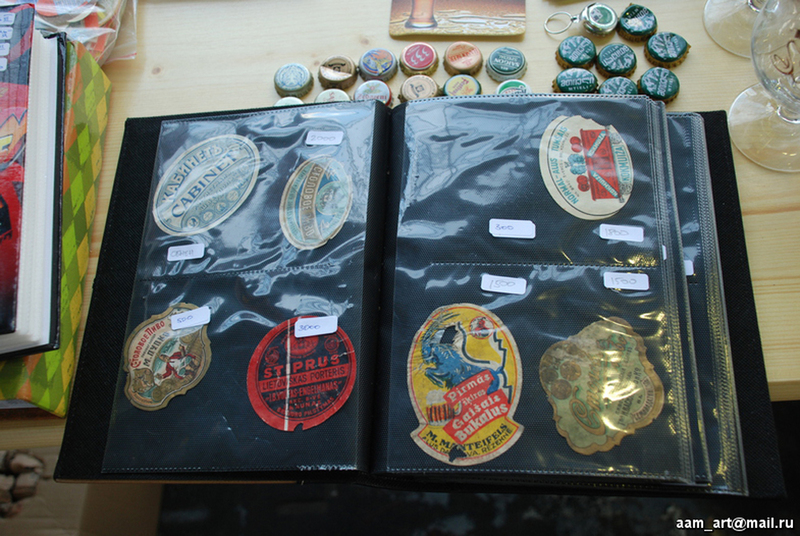 Collectors presented each other novelties of attributes of the Russian and foreign breweries (here a furor was created by labels from recently appeared kraftovy beer from Thailand and Philippines), have carried out already habitual comparative tasting of beer from all over the world (this time it was succeeded to taste beer from the distant exotic countries, in particular from Papua New Guinea and with the island of Palau) and also have arranged traditional amateur tasting of beer with a density equal to number of a meeting (have been this time presented plus-minus of 19% with a density of 10 grades in style of double Indian pale ale of the Russian breweries; in winners there were Beersfan breweries from Yekaterinburg and Salden's from Tula). 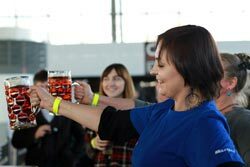 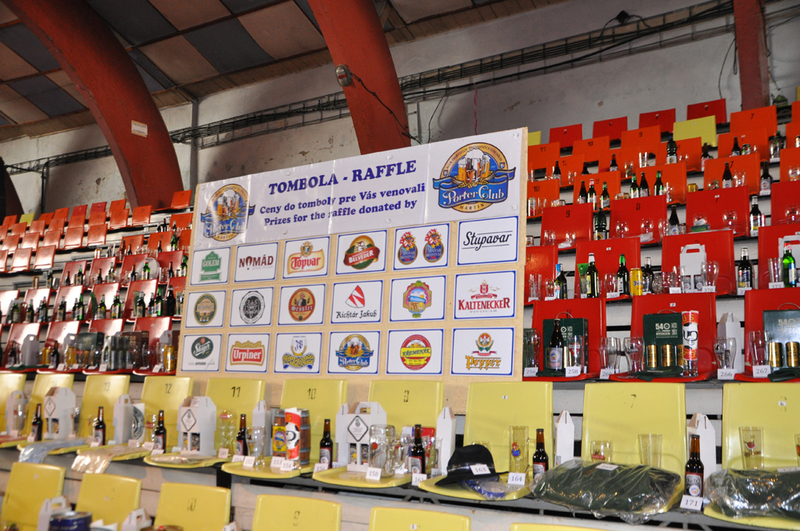 Participants at the event have appreciated not only efforts of organizers, but also the support given to collectors by the brewing enterprises. 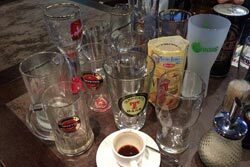 The words of sincere gratitude have been expressed to the above-stated sponsors of a meeting for support of the movement of beer collectors. 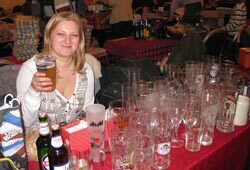 The next anniversary 20th meeting of collectors of beer attributes will take place in Moscow in a year, in October, 2017. 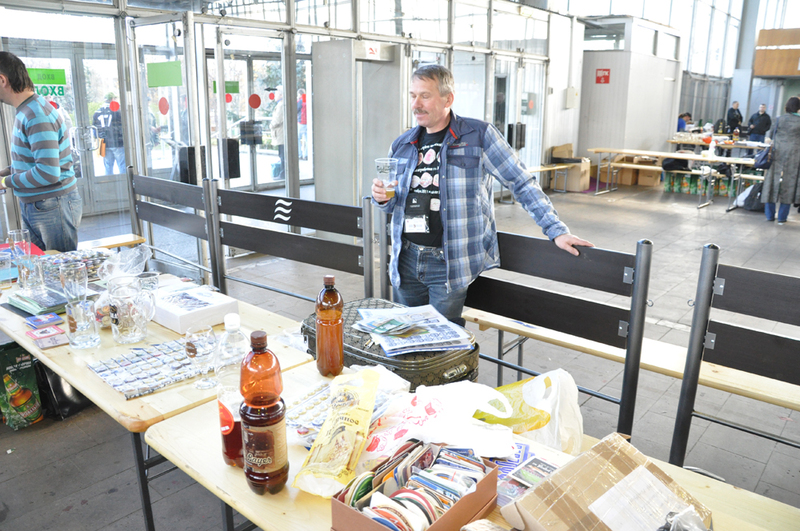 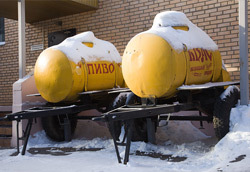 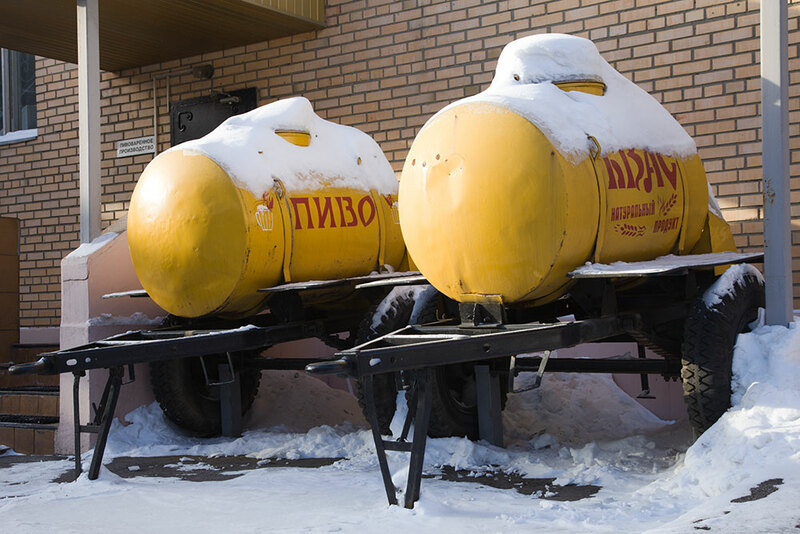 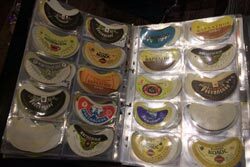 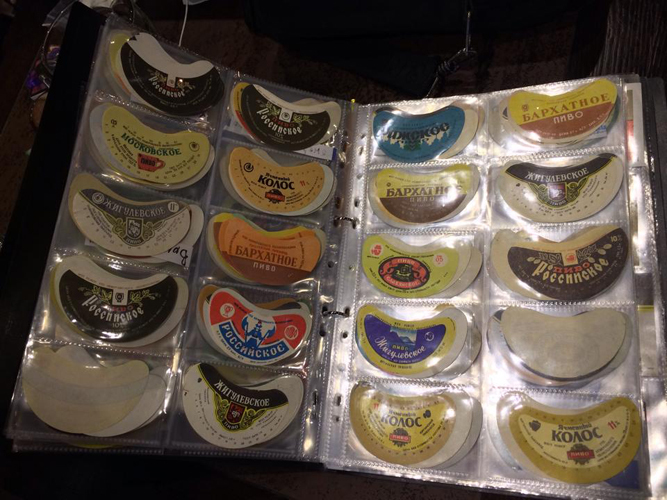 18th Moscow meeting for collectors of beer accessories was hold on October 24-25, 2015. 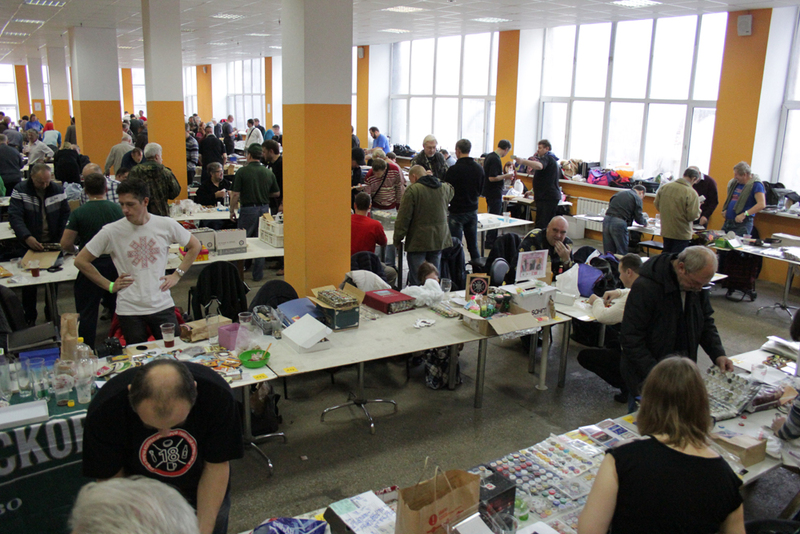 It was two full-days meeting, and during that days we've got more than 270 visitors from Moscow, SPb, Russian regions, also BY, UA, MD, LT, LV, PL. 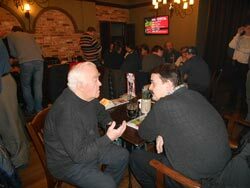 The meeting was sponsored by Ochakovo brewery (main sponsorship), Heineken's Moscow office, Moscow Brewing Co., Lubets brewery, ID Jones craft brewery. 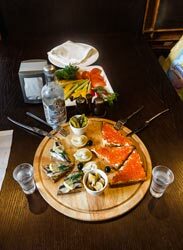 Regular CCBA local meeting took place on February 8th in Strazek restaurant & brewery, Moscow. 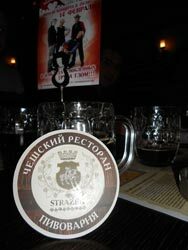 3 types of own beer under Strazek Czech name are brewed here. 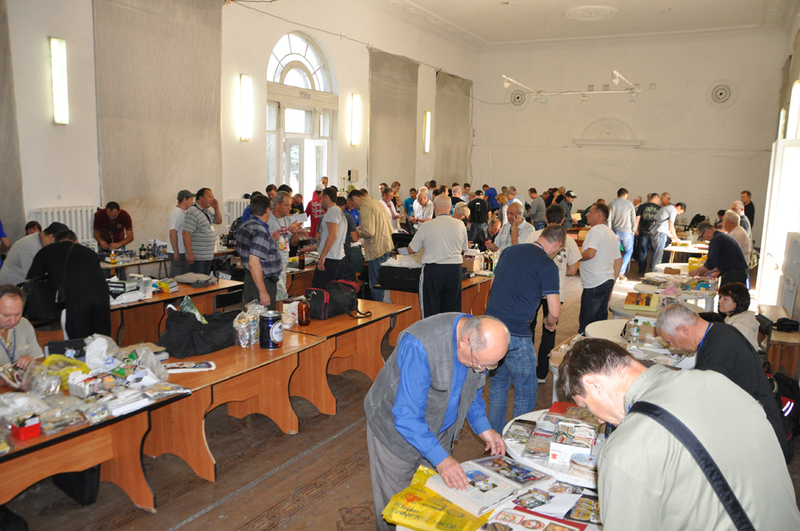 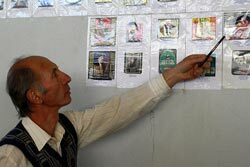 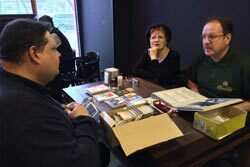 About 50 collectors took part in the meeting. 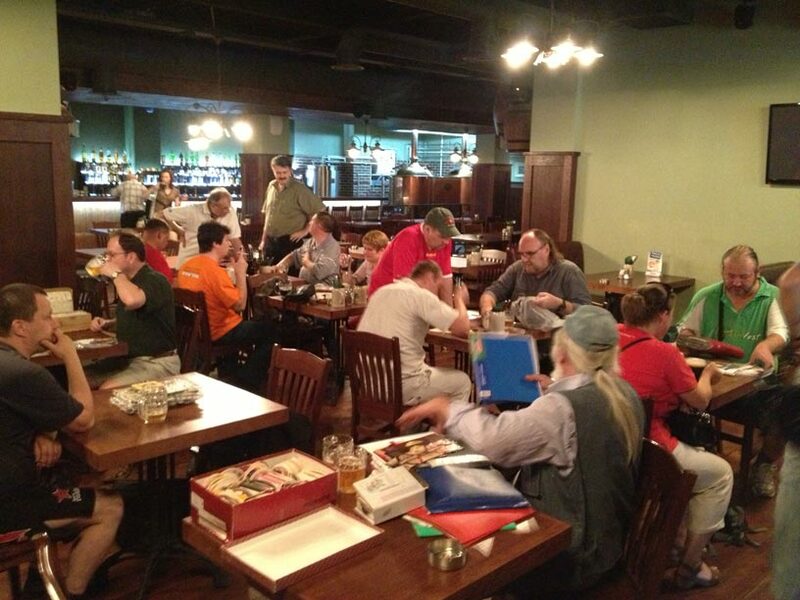 Owners of the restaurant & brewery provided us a separated hall for our meeting. 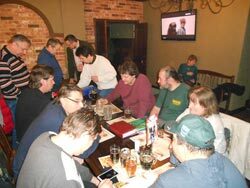 Regular CCBA local meeting took place on January 11th in the "Na Shabolovke" restaurant & brewery, which produces 3 types of own beer under "Shabolovskoe" brand. 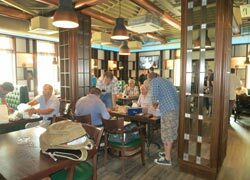 Restaurant's administration kindly provided us a hall on the first floor of the restaurant for our meeting. 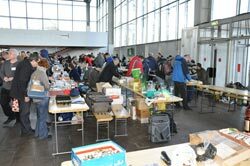 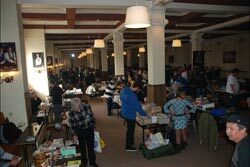 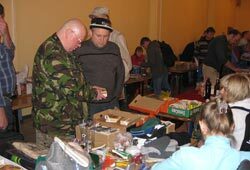 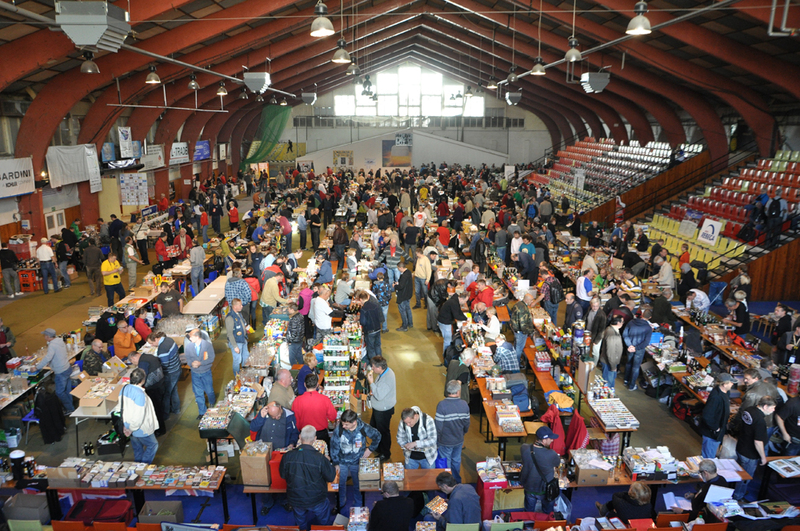 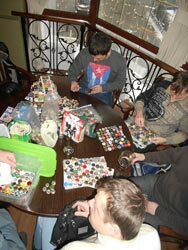 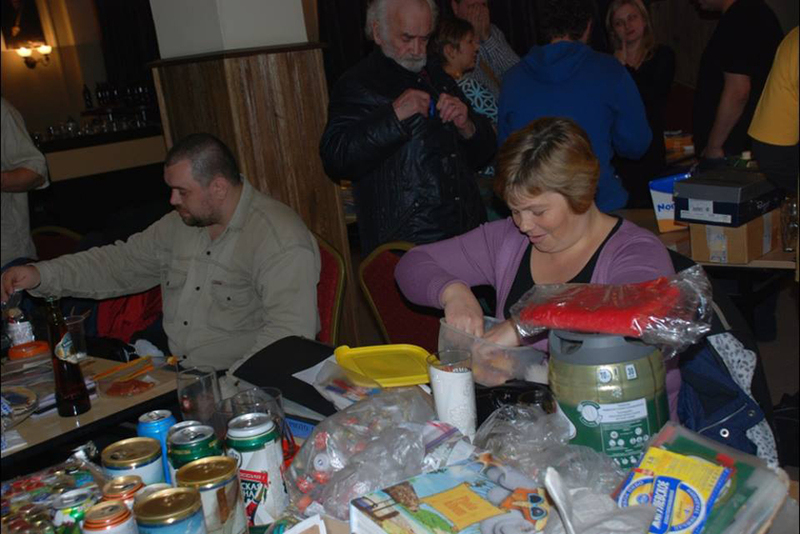 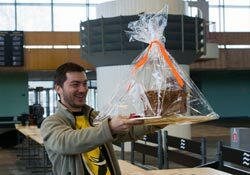 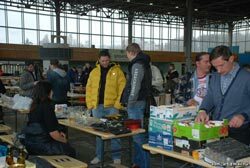 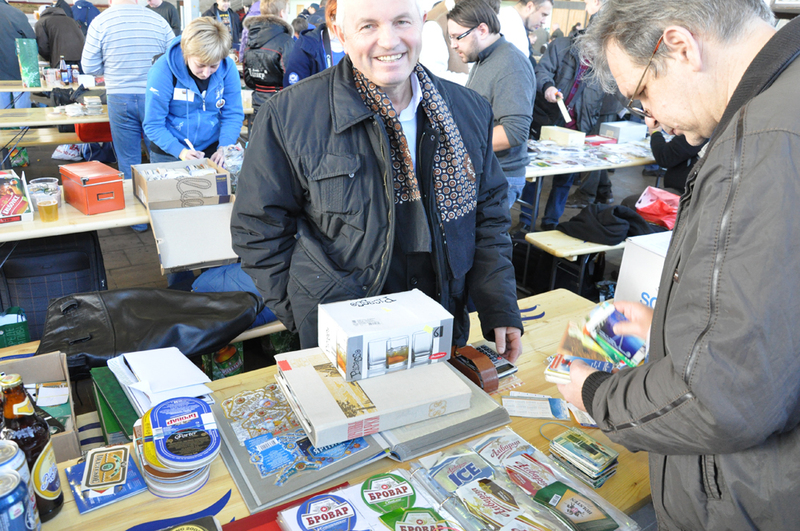 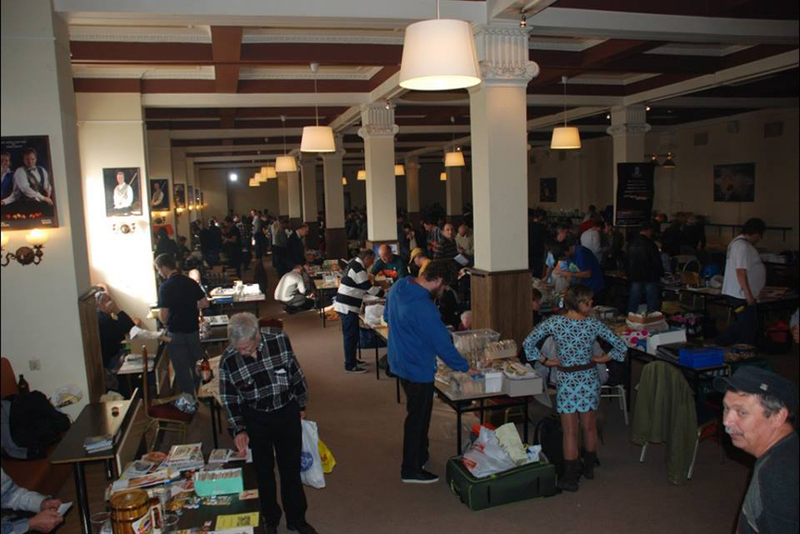 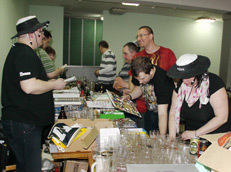 More than 40 collectors took part in the event. 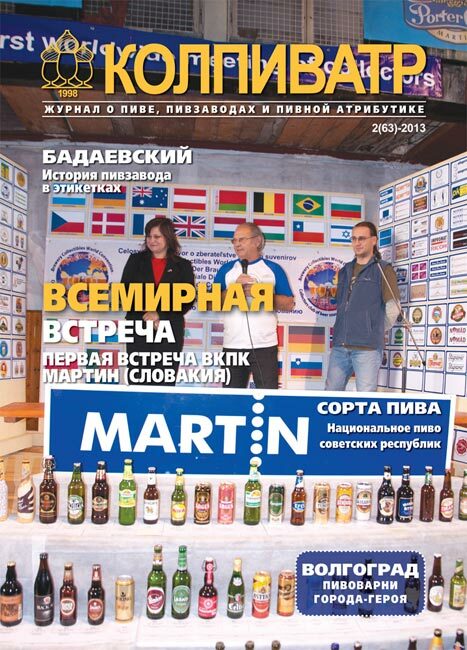 New issue of KOLPIVATR beer, breweries and beer accessories magazine was published on December 14th. 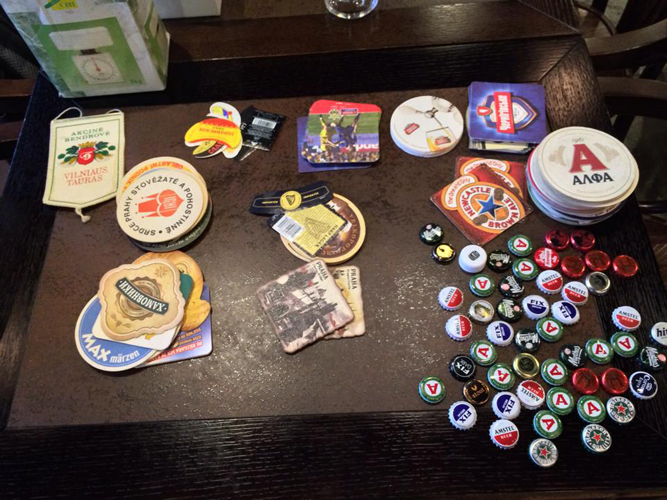 Beer labels, coasters, caps and cans review. 16th meeting for collectors of beer accessories, organized by CCBA, was held in Moscow on October 26th in SALYUT hall located on Budenny Ave. 272 collectors arrived from Central and South Russia, Ural, Siberia, Latvia, Liethuania, Byelorussai, Ukraine, Moldova, Armenia and Poland were registered as participants. 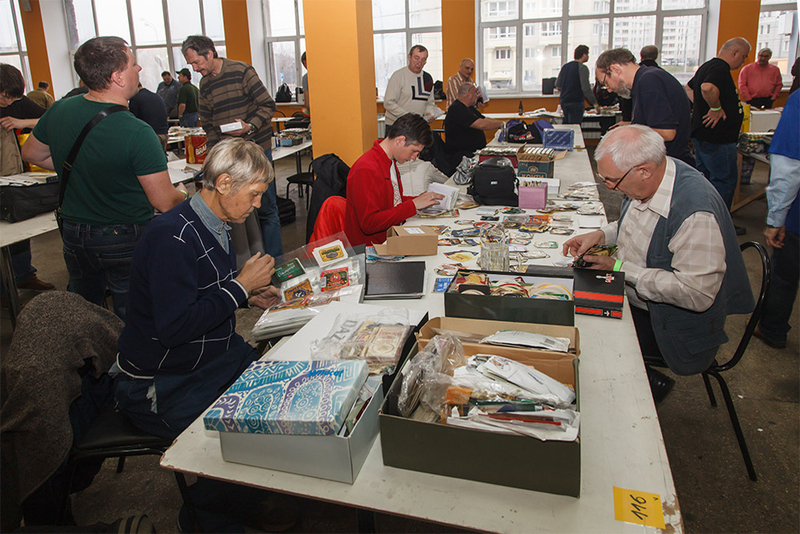 55,5 % of participants will be collectors from Moscow region. 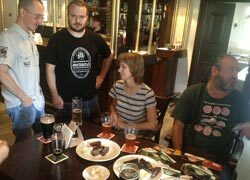 The meeting was supported by Ochakovo brewery, Baltika brewing co., Lyubets brewery, Moscow Brewing co. and Shabolovka brew-pub. 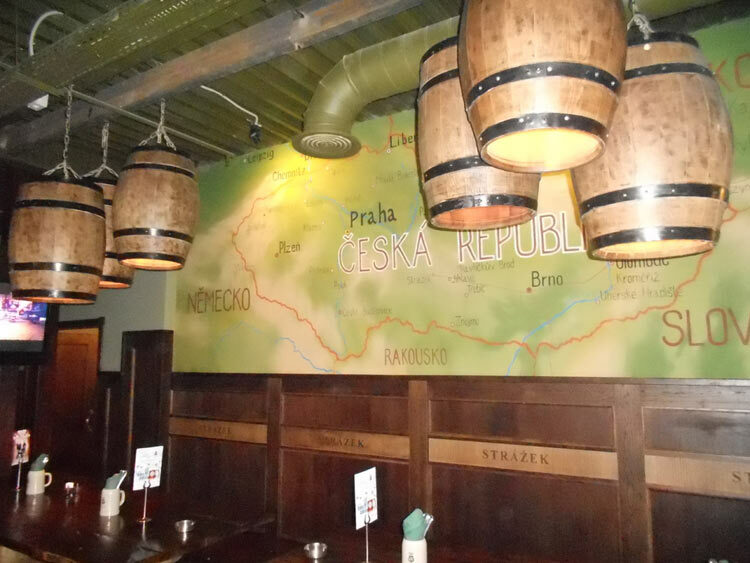 CCBA organized collective trip of club members to Slovakia for visiting local breweries, castles and first Brewery Collectibles World Convention (BCWC), which was held on October, 3-6 in Martin town. 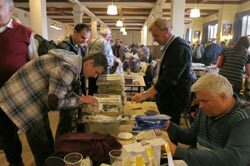 This historic meeting assembled more than 850 participants from 36 countries. 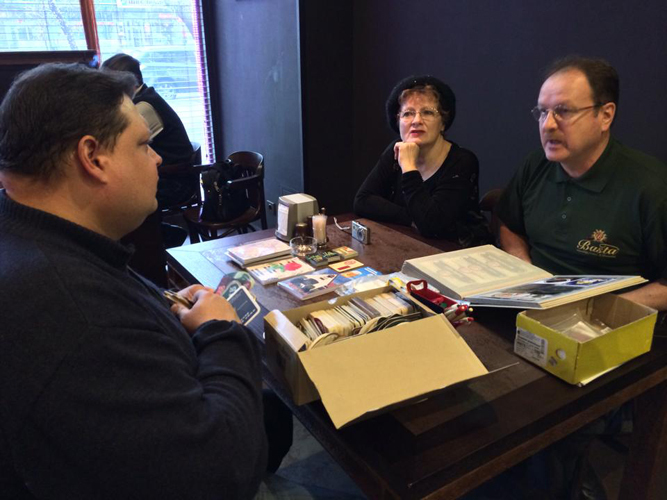 It was a meeting of World executive commitee during the BCWC, which confirm shadule of next world meetings: US-Milwaukee in 2015, PL-Tychy in 2017, RA-La Plata in 2019, and after that Germany and Australia. On September 14-15 CCBA members visited 28th Ukrainian meeting for collectors of beer accessories, which assembled 120 participants, including guests from Russia, Byelorussia, Liethuania and Moldova, in Zaporozhie city, Khortitsa island locared on Dnepr river. 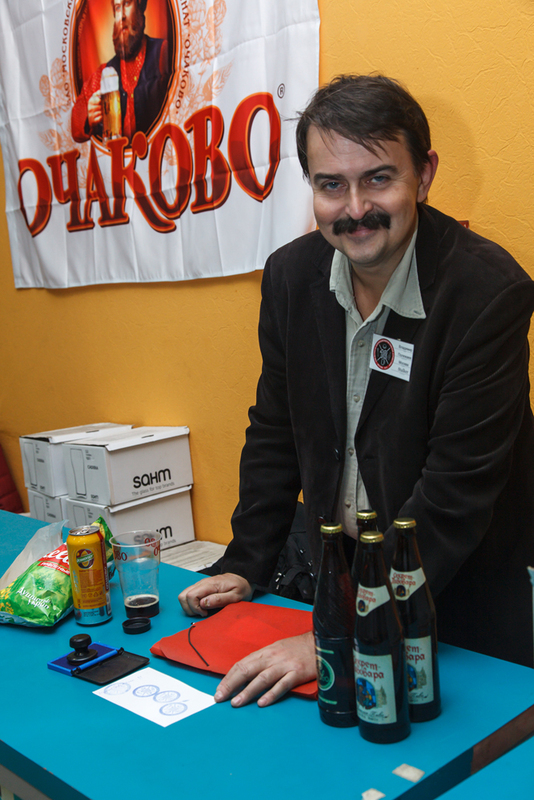 The event was supported by Zaporozhie brewery (Carlsberg Ukraine). 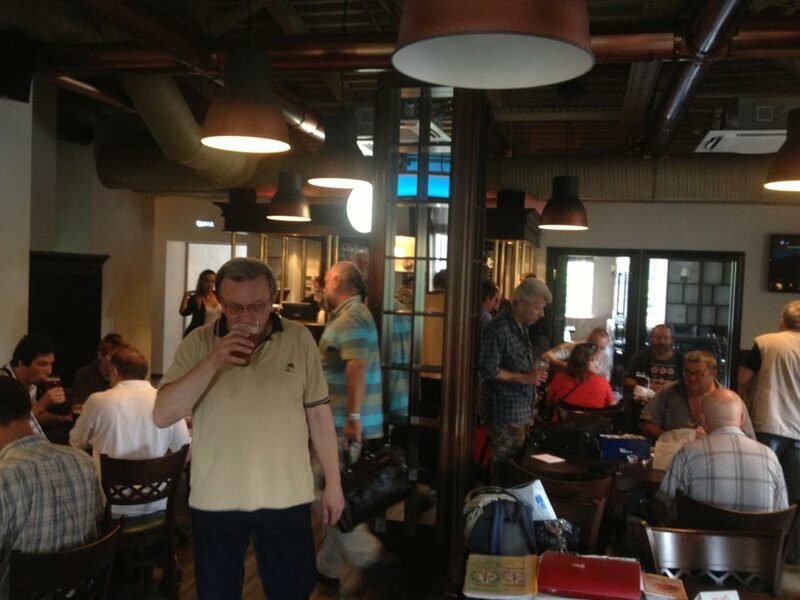 CCBA local meeting took place on August, 10th in new "1516" brew-pub located on Abelmanovskaya St., 4. 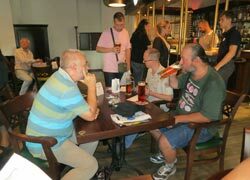 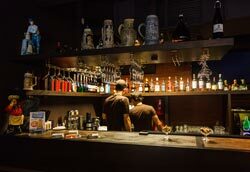 In friendly atmosphere the Moscow collectors had opportunity to try the most tasty beer which is brewed in this brew-pub: wheat, pilsner, stout and an unconditionally explosive novelty at Russian beer market - American Pale Ale (APA). 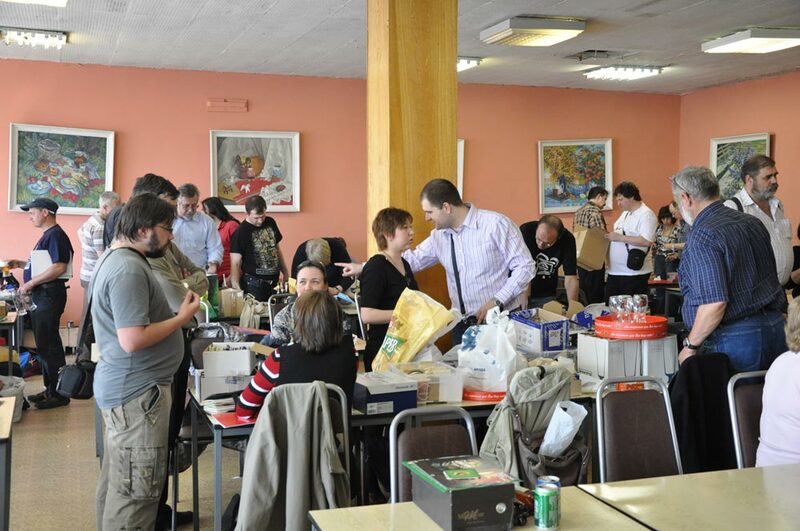 Thanks to huge courtesy of administration of "1516" the collectors provided a discount for all beers and food during the meeting's time! 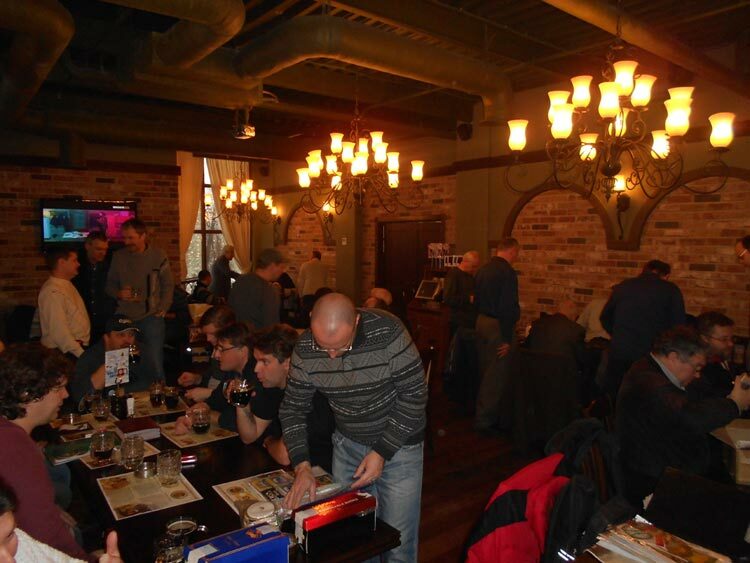 The next CCBA local meeting took place in the Shabolovka restaurant and brewery. 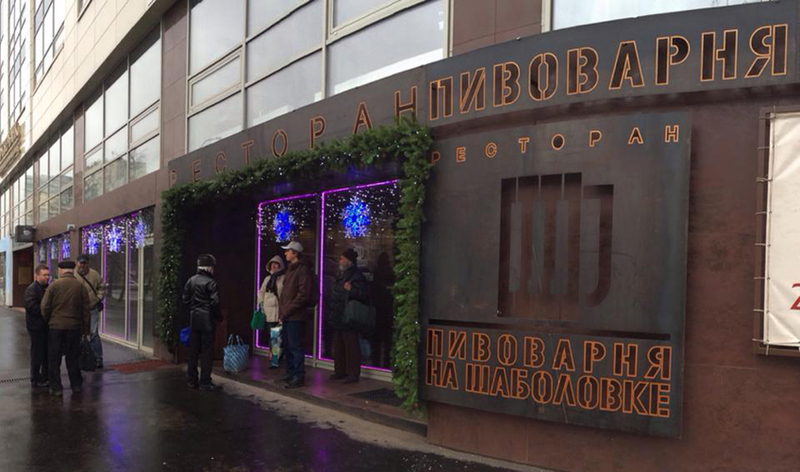 This restaurant was opened in Moscow not so long ago - on May 20th. 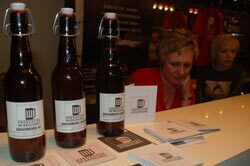 Thanks to the owners for interest and a kind treatment shown to beer collectors. 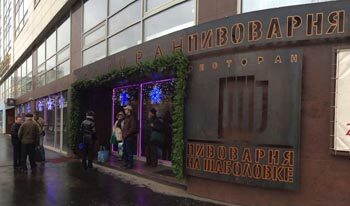 Because of this we hold the meeting and exchange in so interesting place. 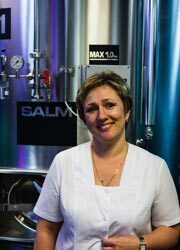 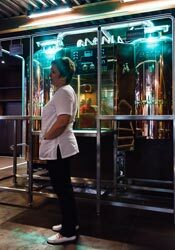 The owners of the Shabolovka organized the excursion for collectors to the microbrewery, during which we had interesting discussion with the lady-brewer. 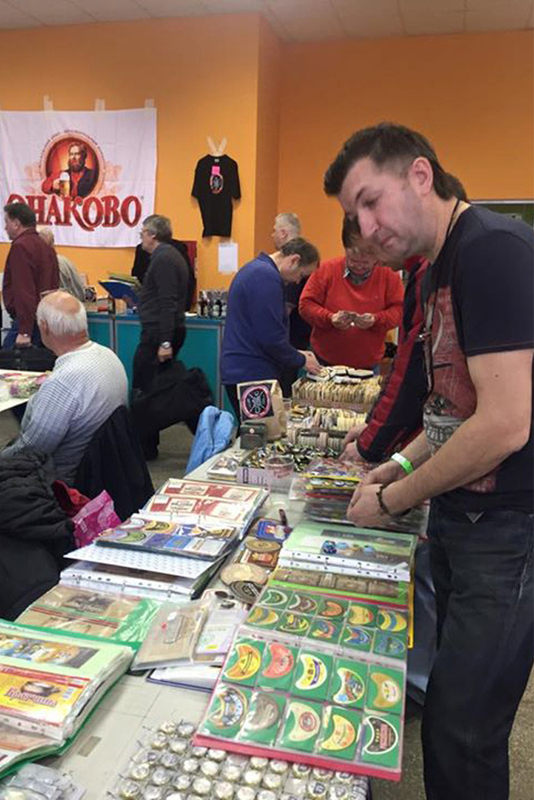 All the meeting participants get the considerable discount for all 4 types of Shabolovka beer and the set of bottle labels. We want to thank the Shabolovka's director Mr. Sharipov and also the organizer of the meeting - Tatyana, Shabolovka's manager! 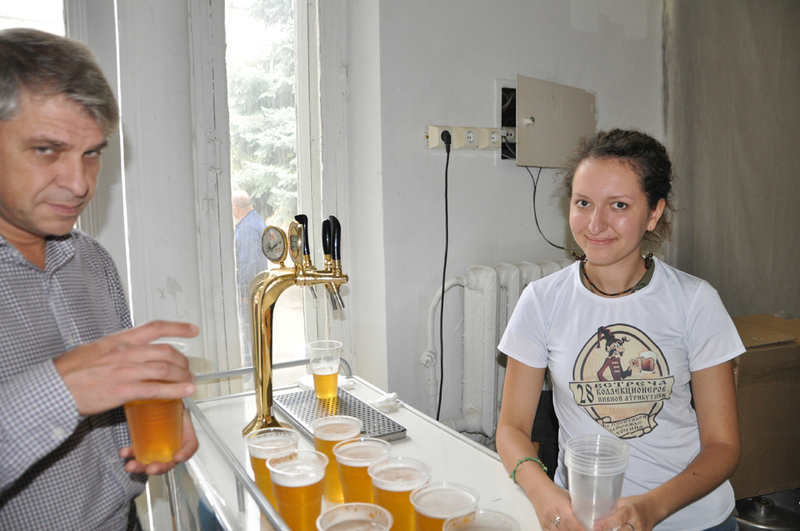 Wish them success and delicious beer! 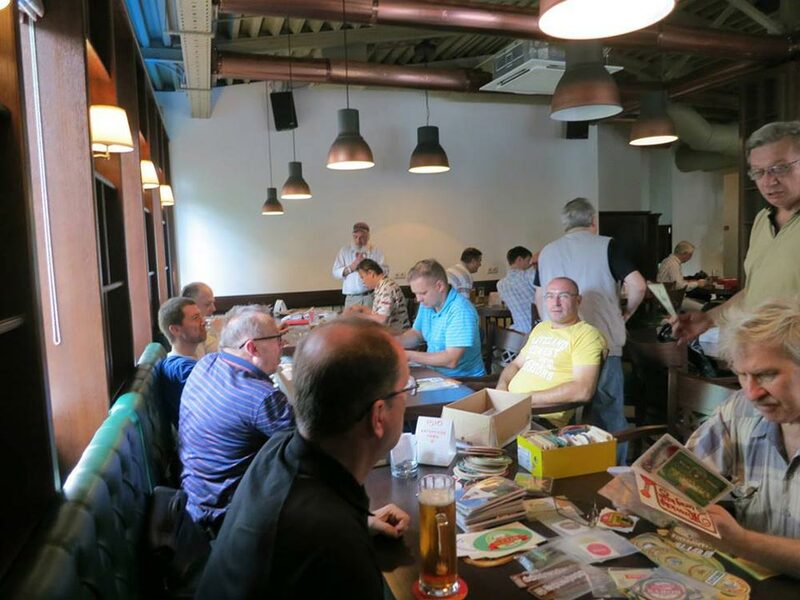 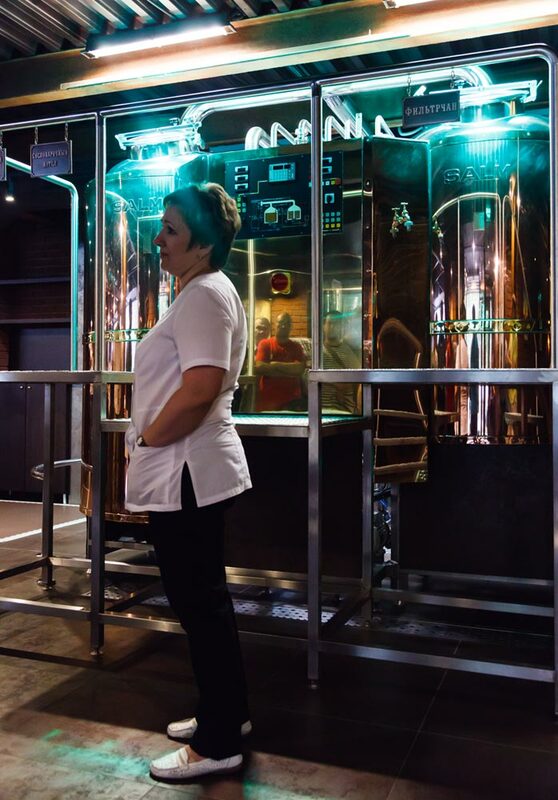 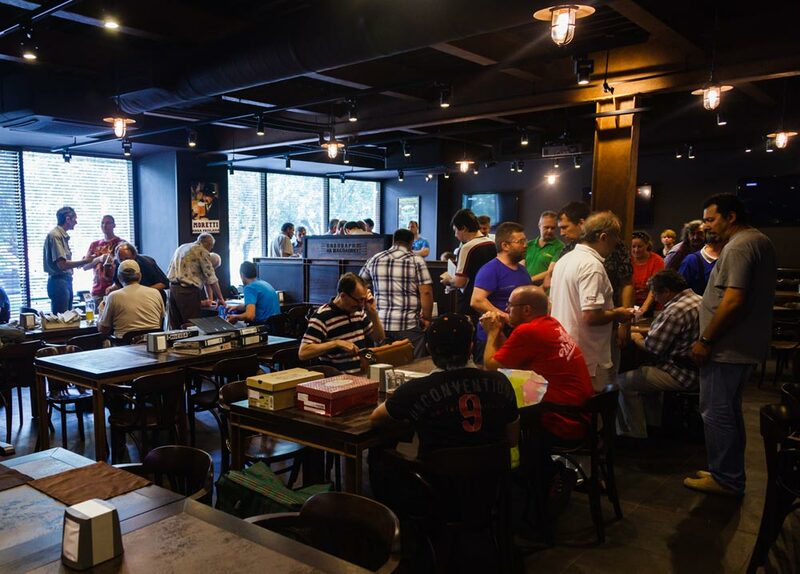 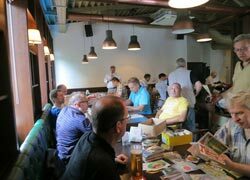 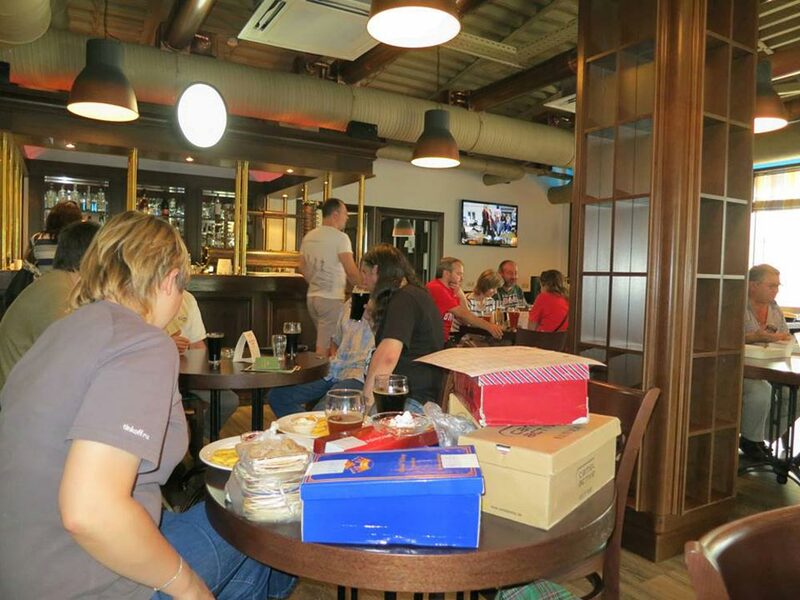 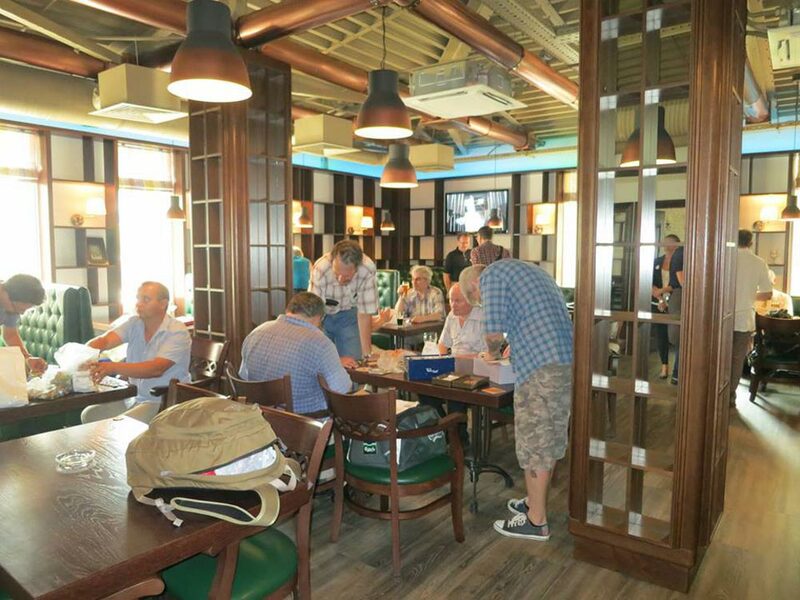 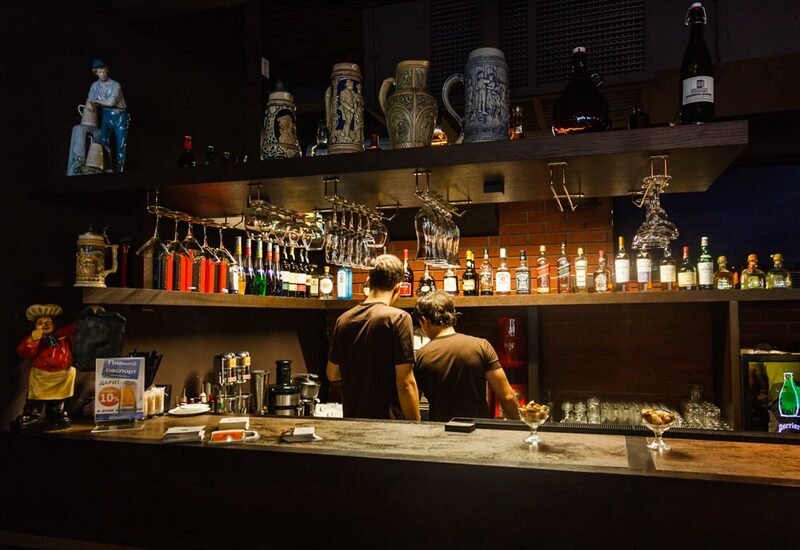 Regular CCBA local meeting for collectors took place on June 15 in recently opened Strazek microbrewery&restaurant (Masterkova St. 8, Moscow). 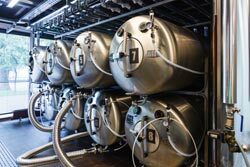 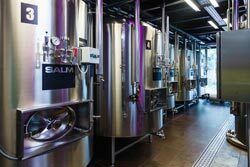 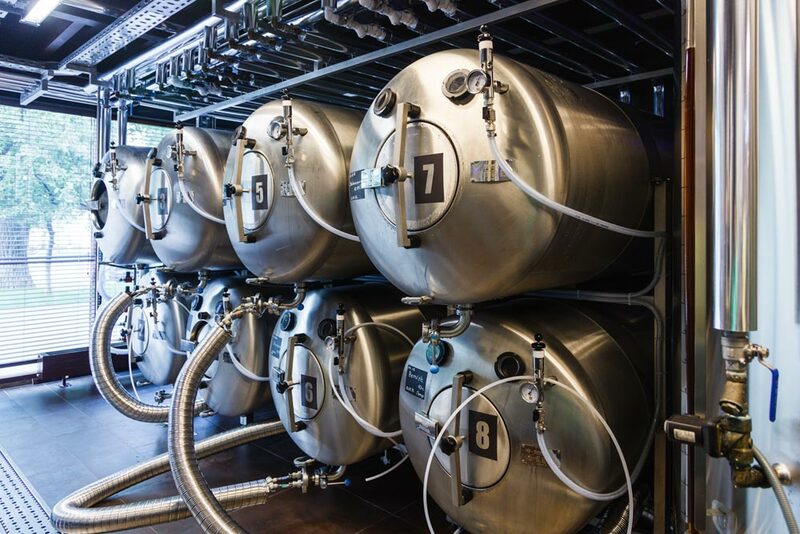 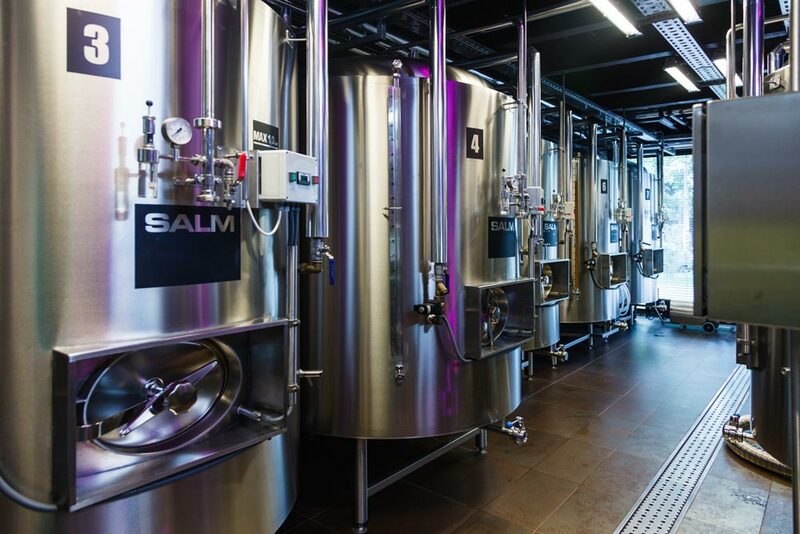 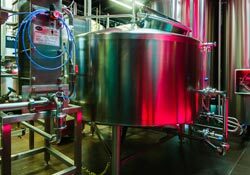 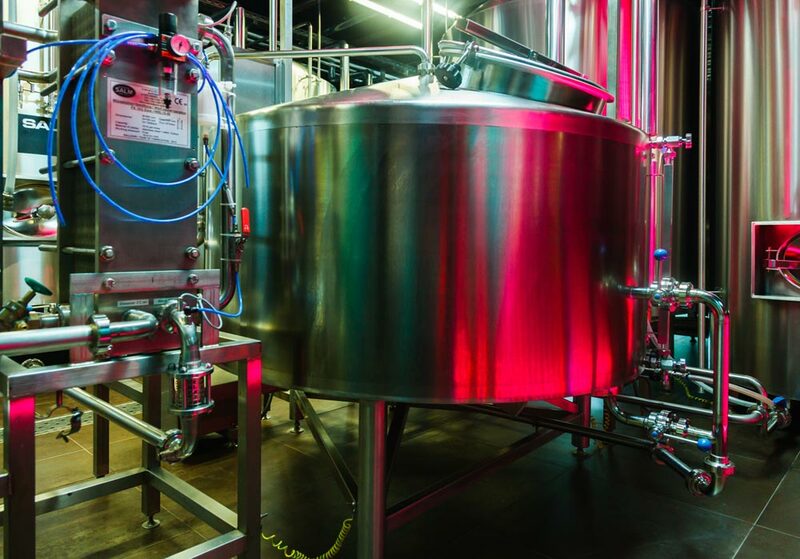 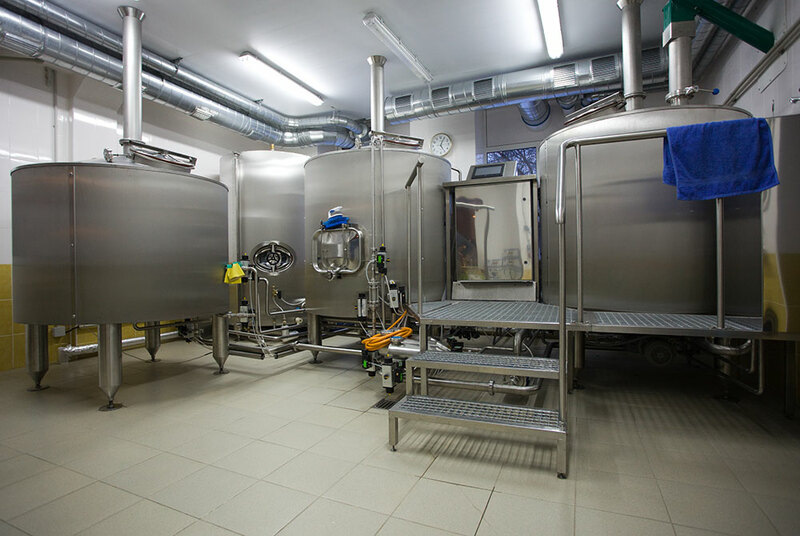 They use Destila brand equipment to brew 3 types of beer: light, half-dark and dark. 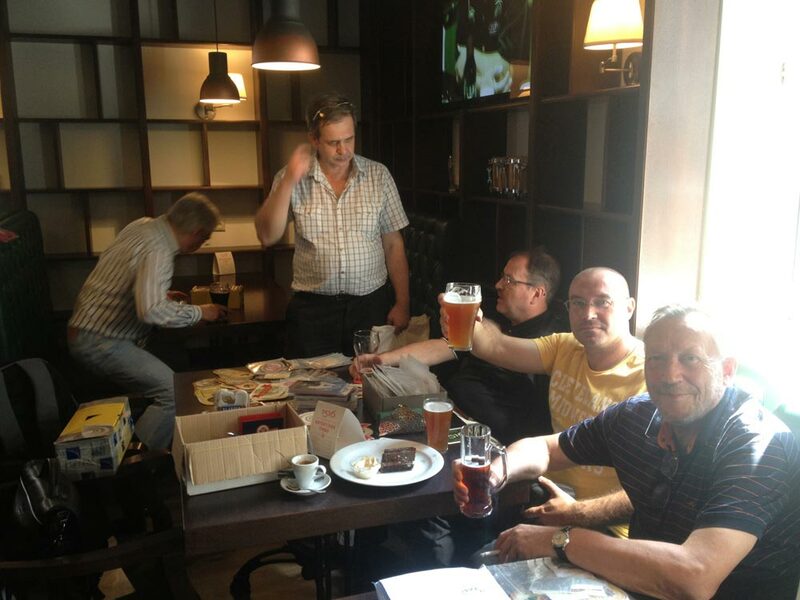 As usual, meeting was devoted to an exchange of beer accessories and companionship with beer. 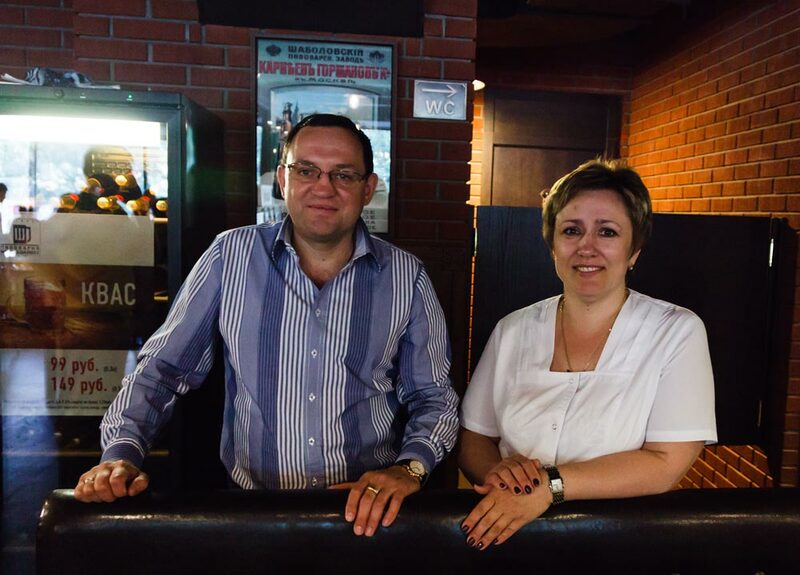 We thank Strazek management for the favorable attitude towards collectors and for the discount provided. 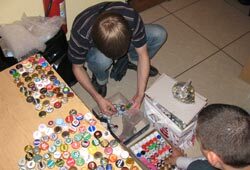 The 15th meeting for collectors of beer accessories took place in Moscow on October 27-28 in pavilion No. 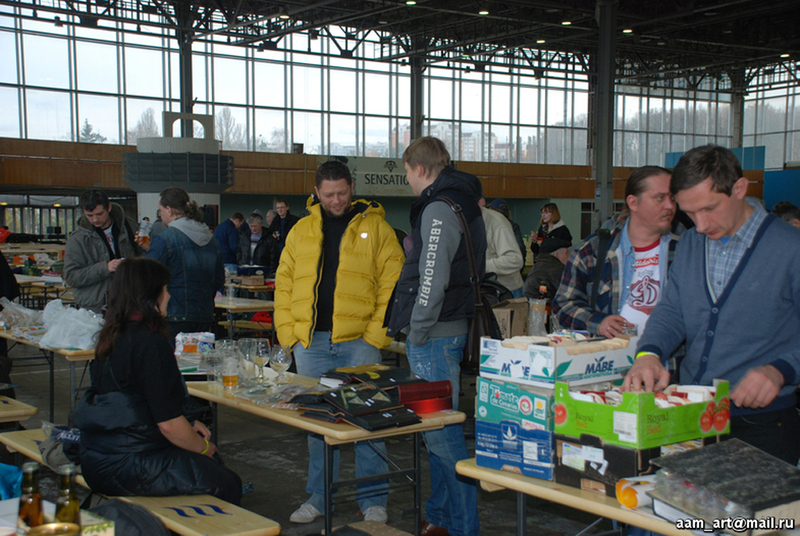 20 at the VVC Exhibition Centre. 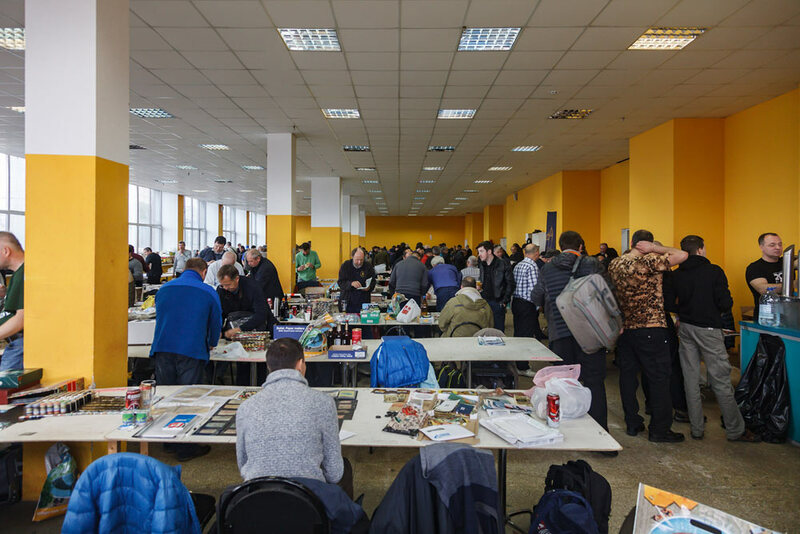 More than 300 people (among whose there were collectors from the Russian cities on a distance from Smolensk to Krasnoyarsk), Belarus, Ukraine, Armenia, Moldova, Lithuania, Latvia, Poland and Czech Republic became the participants of the meeting. The meeting was organized by CCBA and sponsored (second year in a row) by Baltika brewing company. 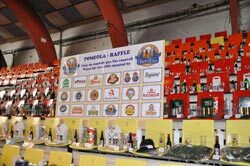 All the participants have got beer souvenirs, labels, coasters, beer glasses and specially made T-shirts with a logo of the meeting, and also 600 liters of draft beer. 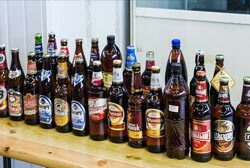 There were the exchange, traditional drink-fast competition, the tombola, and amateur beer tasting of 15%-density brands in the meeting's agenda. 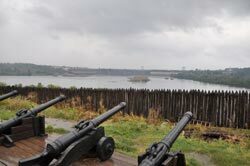 Read the details in KOLPIVATR No. 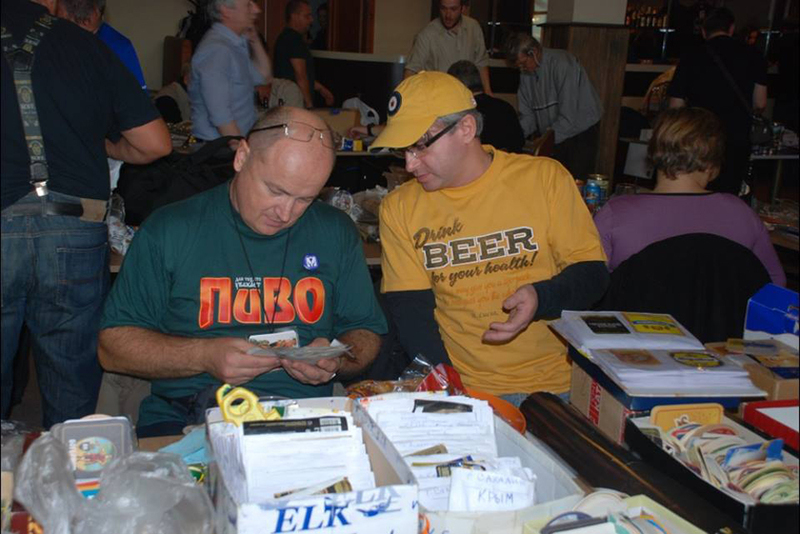 4 (61)-2012. 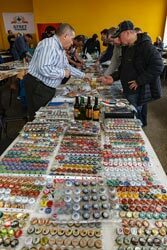 It was 14th annual Moscow meeting for collectors of beer accessories on October, 29-30th, which has passed by already habitual address Budyonny ave. 21, Salyut hall. 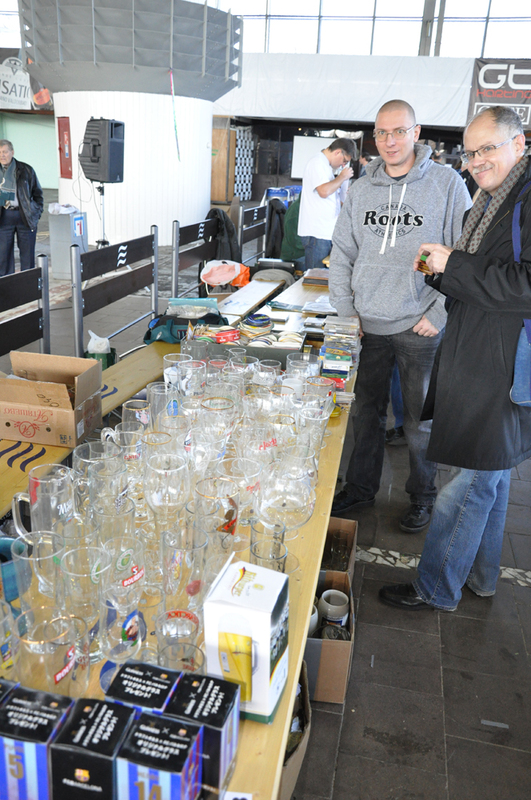 The meeting was sponsored by Yaroslavl branch of Baltika brewing company, which gave us 300 liters of draft beer (Nevskoe, Yarpivo, Baltika 7), 20 boxes with bottled and canned beers, souvenirs with logos of Baltika and Yarpivo brands, and also glasses as a gift to each participant. 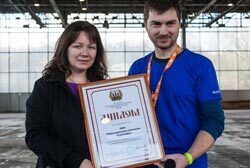 230 participants were registered at the meeting, came to the Salyut hall from different Russian cities, from Ukraine, Belarus, Moldova, Lithuania, Latvia and Poland. 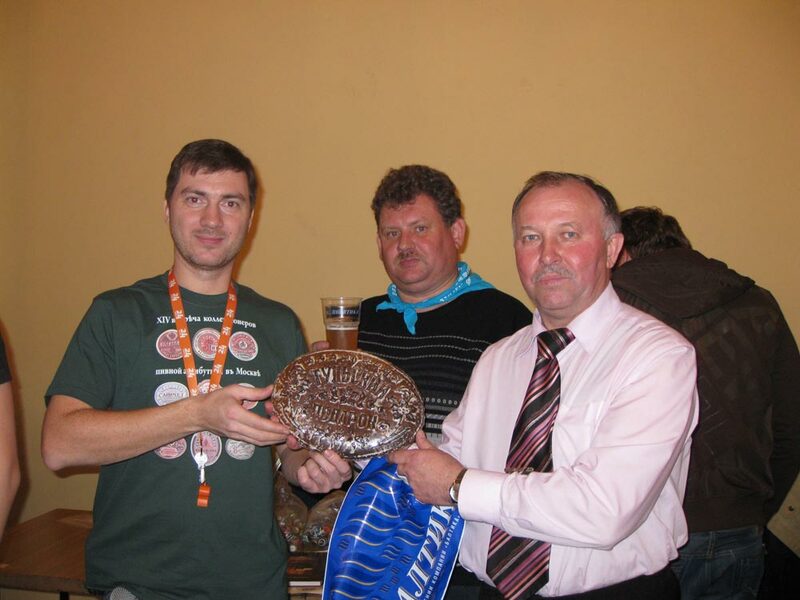 The meeting has passed under the traditional scenario: from the face of CCBA Mr. Shamov has handed over the memorable diploma to the representative of Yaroslavl branch of Baltika Mrs. Voronina; Peter Kodzaev from Moscow became the winner of fast drinking competition; the amateur commission has tasted a lot of 14% grade beer brands, which participants specially brought. 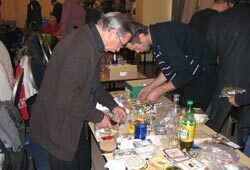 You can read the detailed report about the meeting in KOLPIVATR 4 (57)-2011. 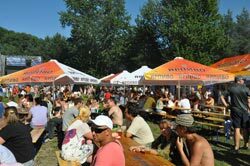 By the invitation of Baltika-Yaroslavl brewing company CCBA delegation took part in Mosty (bridges) beerμsic festival in Yaroslavl on July 23th. 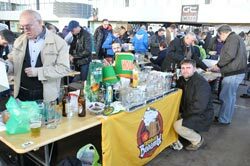 CCBA collectors also took part in "Pivnoy dozor" (beer patrol) action together with company's workers and local collector friends. 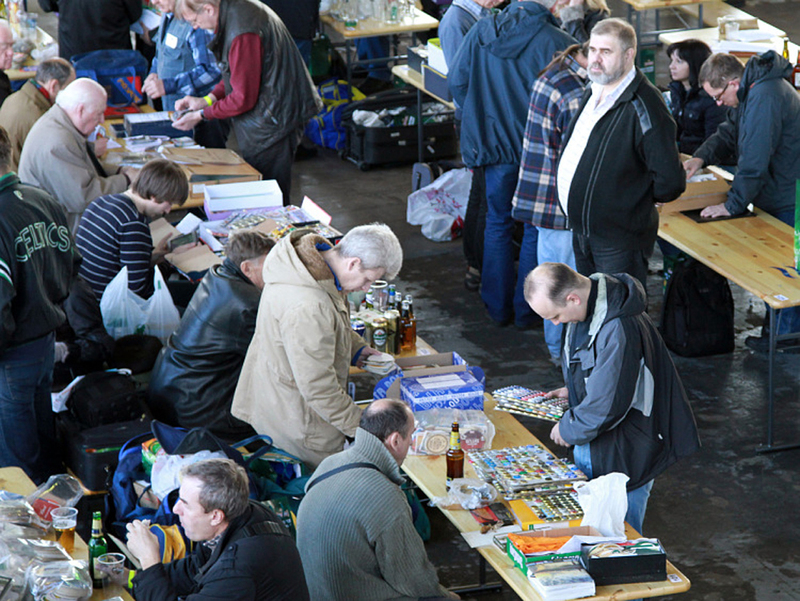 Moscow collectors done the auto trip from Moscow to Repino (St.-Pitersburg), where not numerous, but very sincere the 3d All-Russian meeting for collectors of beer accessories were held on May 14-15th, organized by Pivnoy Etiket club. 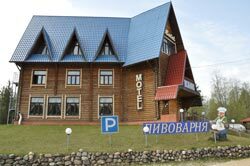 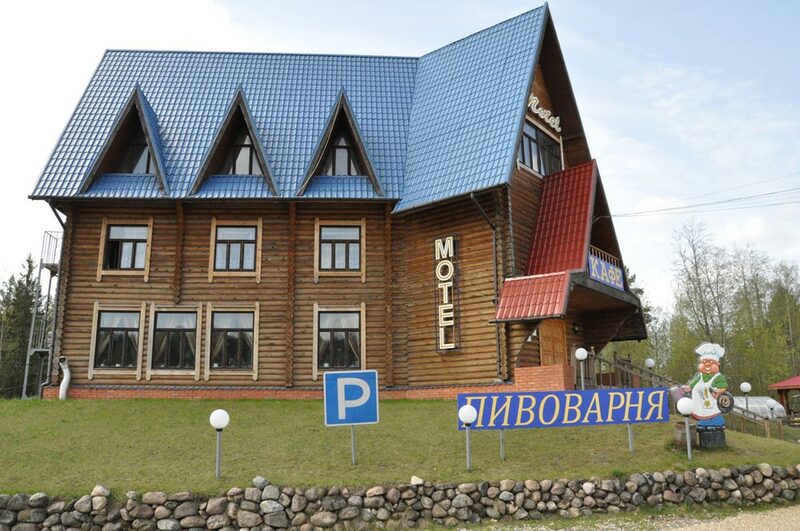 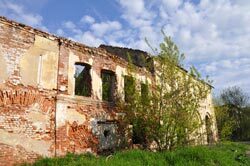 On a half way to the meeting collectors visited old town Torzhok for survey the ruins of local brewery, established in 1889, and also visited one of the seldom in Russia Vyshny Volochek hotel microbrewery. 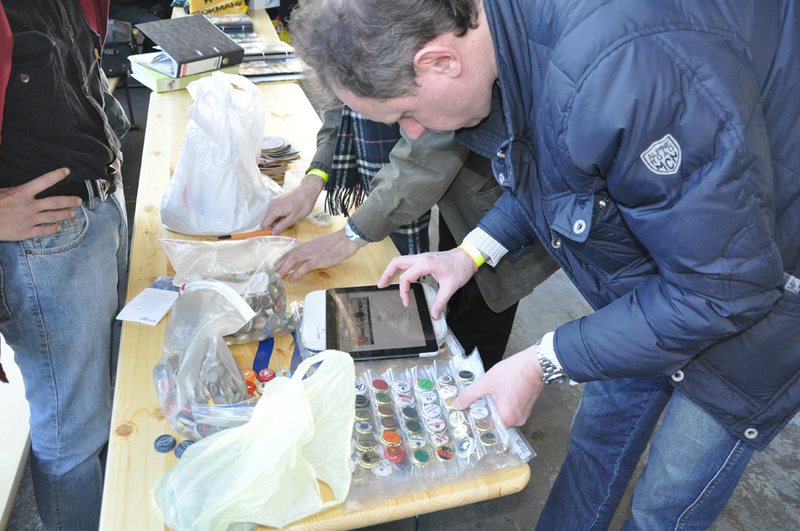 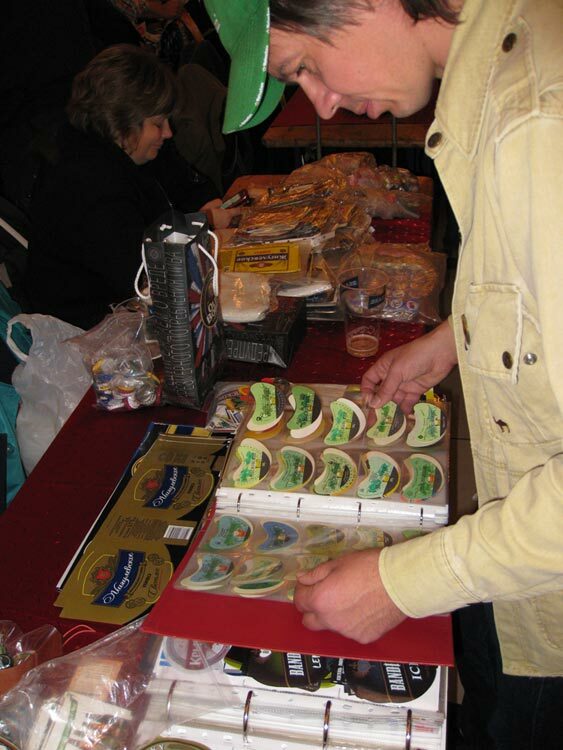 CCBA members took part in 4th International meeting for collectors of beer accessories in Minsk on April 9, 2011. 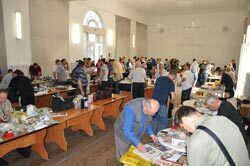 There were 100 participants at all from 7 countries: Russia, Byelorussia, Ukraine, Lithuania, Latvia, Estonia, Moldova. 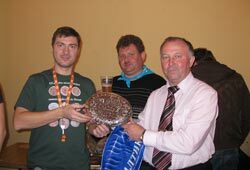 Organizer of the meeting: Byelorussian club for collectors of beer accessories "Piunyya volaty" (Maks'ale co.). 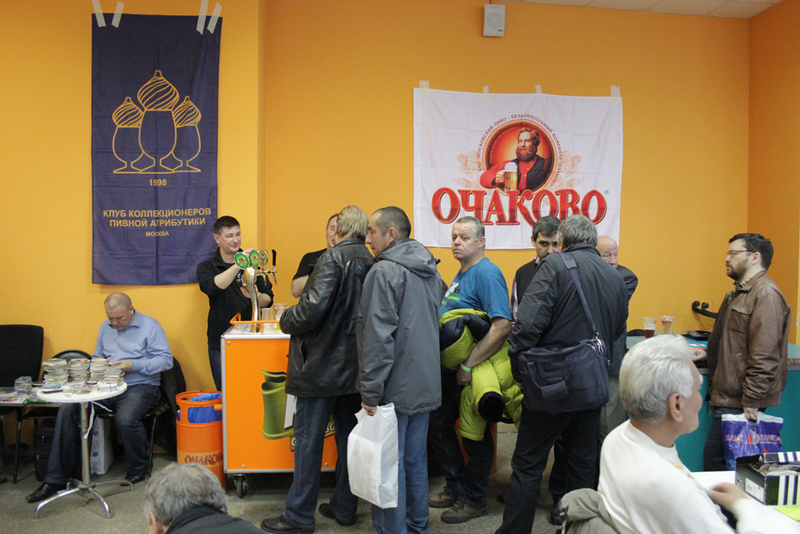 On February 19th CCBA members visited Ochakovo brewery in Moscow. 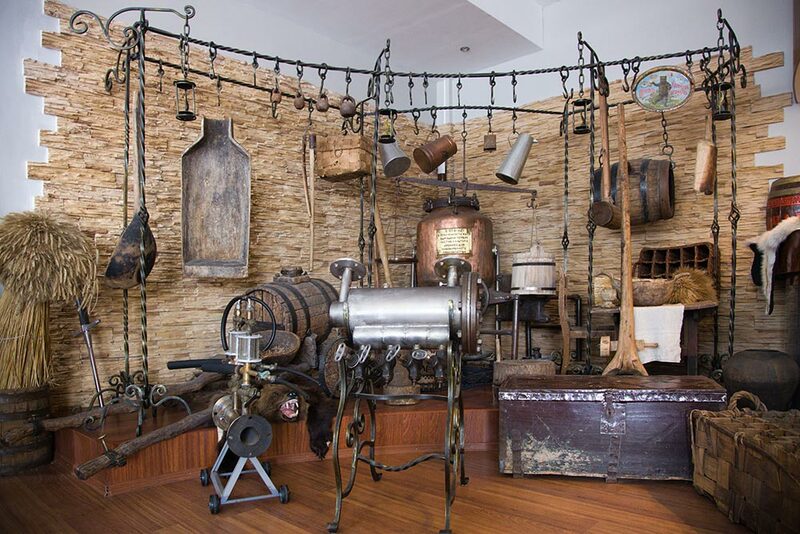 The most interesting sight at the brewery is the Museum of Beer with its good collection of old items had been used in brewing. 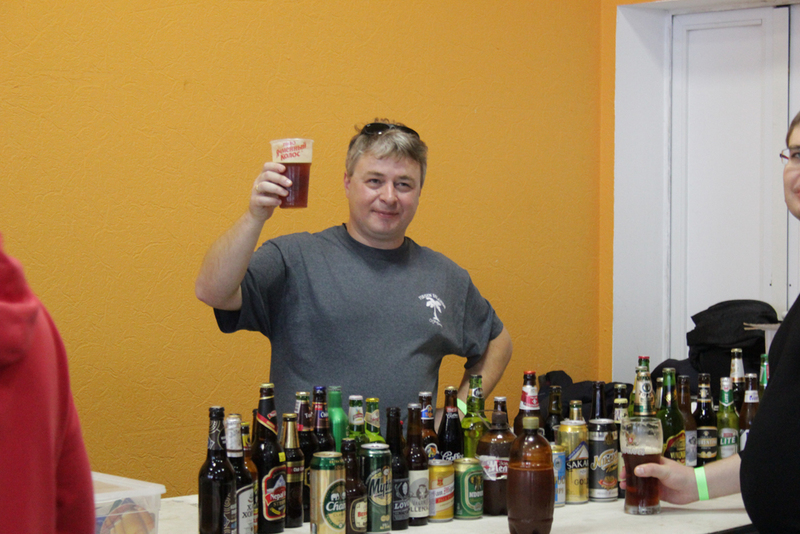 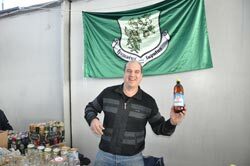 Collectors also visited brew house and fermentation section; they had beer and kvass tasting and get souvenirs. 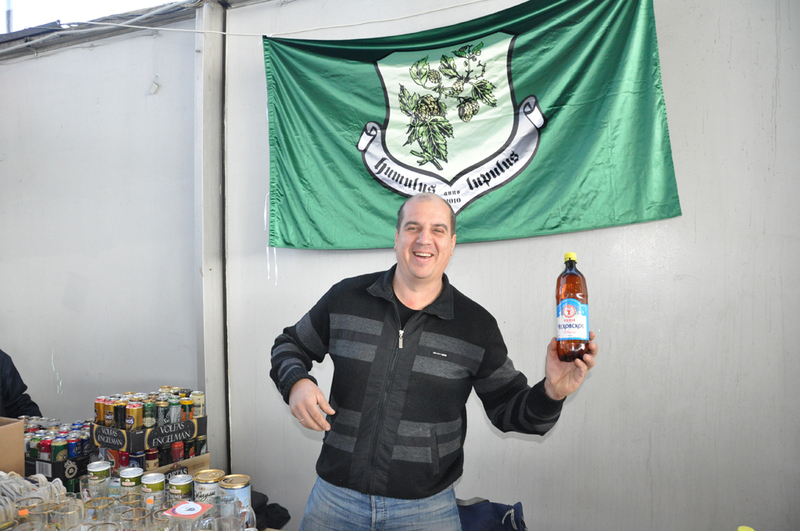 Thanks to Ochakovo for given chance to visit the brewery. On January 29th group of CCBA members visited new Moscow microbrewery in Sviblovo district. 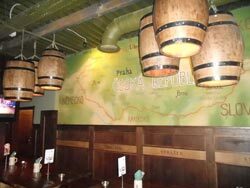 The name of the brewery is Velka Morava. 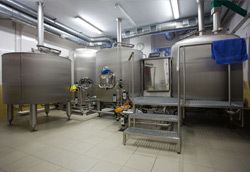 Czech brewing equipment installed there and only Czech raw materials is used. 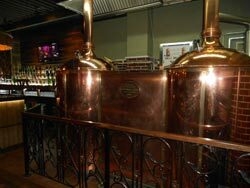 Its beer brand is Moravsky klas (3 types). 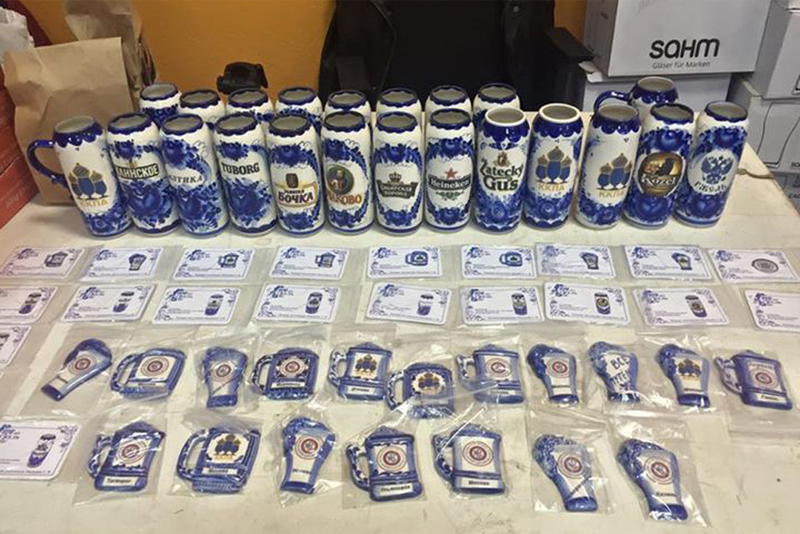 Labels for kegs and PET are available for collectors. 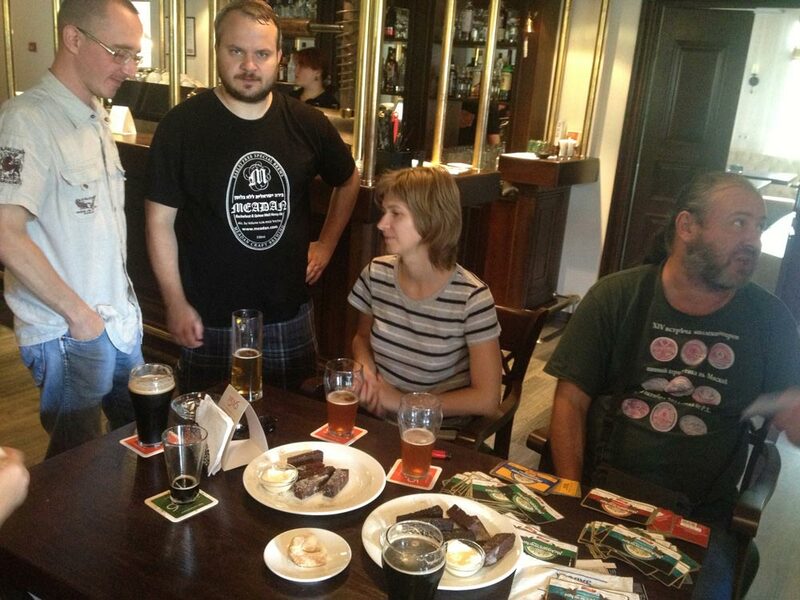 Thanks to brewery owners for excursion and for beer tasting organized!